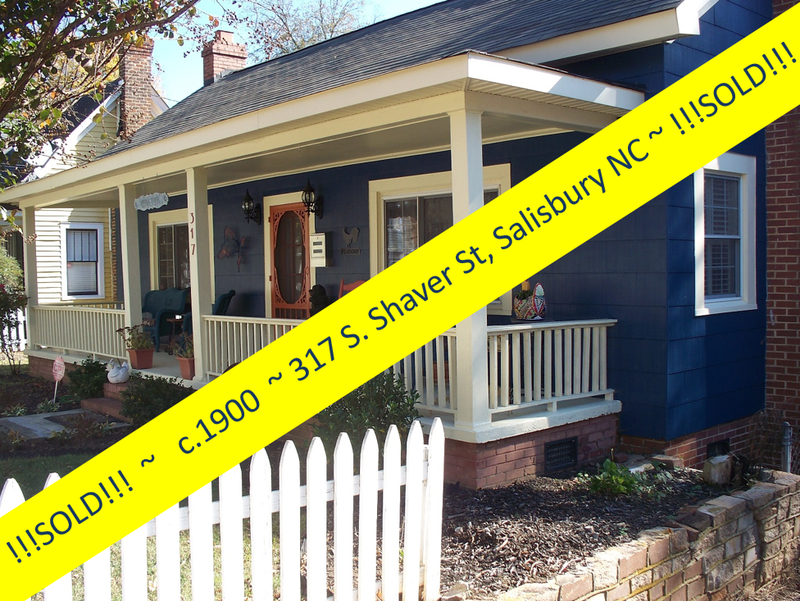 Location ~ Location ~ Location! 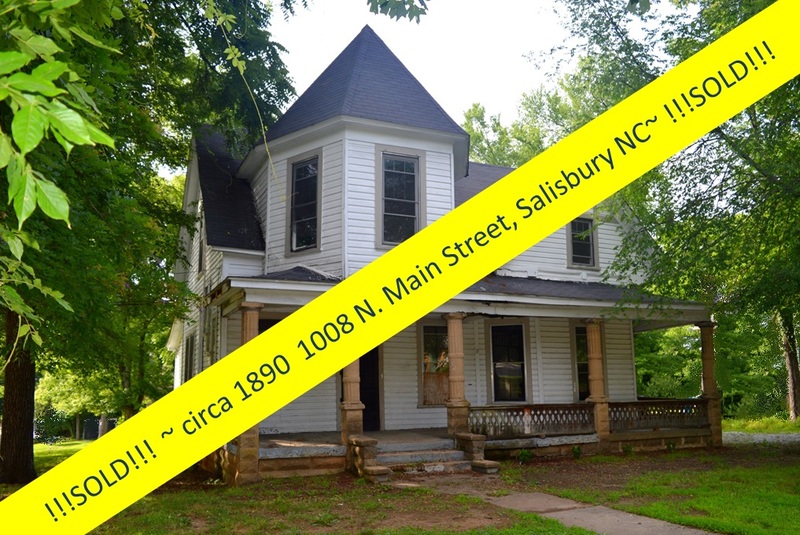 Just 6 blocks from the center of downtown Salisbury NC, you’ll find the North Main Historic District. 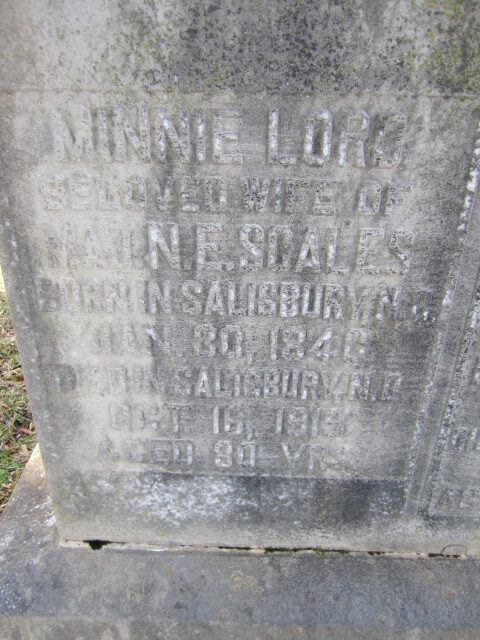 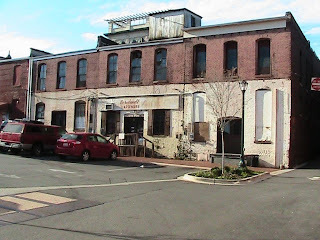 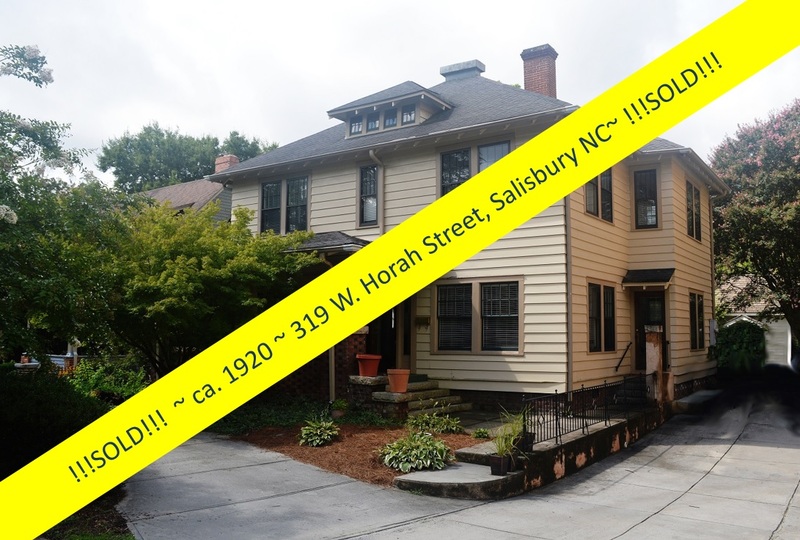 The North Main, or NOMA, district is the last remaining residential corridor into the City of Salisbury, and is notable for the wide variety of residential architecture, many intact with their original details. 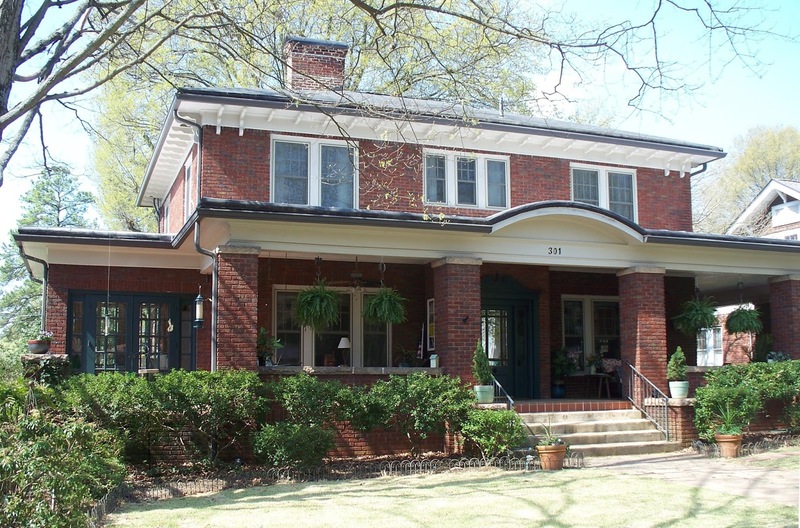 1928 brick bungalow sitting high off the street, looking down on the corridor. 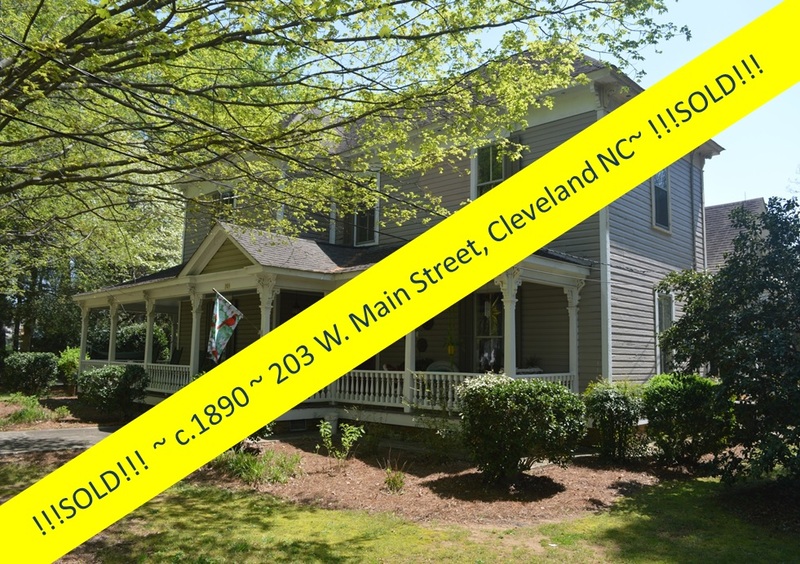 The ambiance of this impeccably restored home at 927 N. Main Street comes from an artful blend of both the Tudor style and American Craftsman architecture, with gleaming refinished hardwood floors throughout the home, and arched detail on the wonderful 14x14 front porch.This 3-bedroom brick home, seems to be perched on a hilltop, and sitting on the ultra-private front porch gives you the feeling you are looking down from your very own tree house. 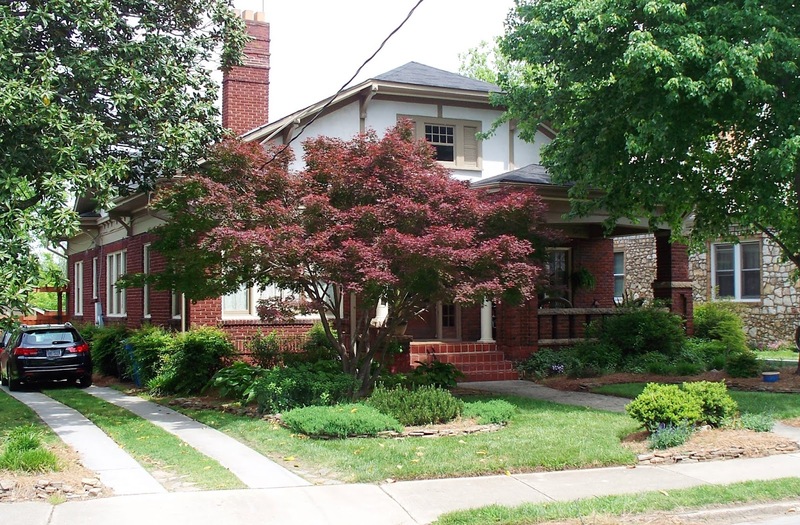 A winding granite path takes you from the front porch down through the front yard to the sidewalks of N. Main Street. 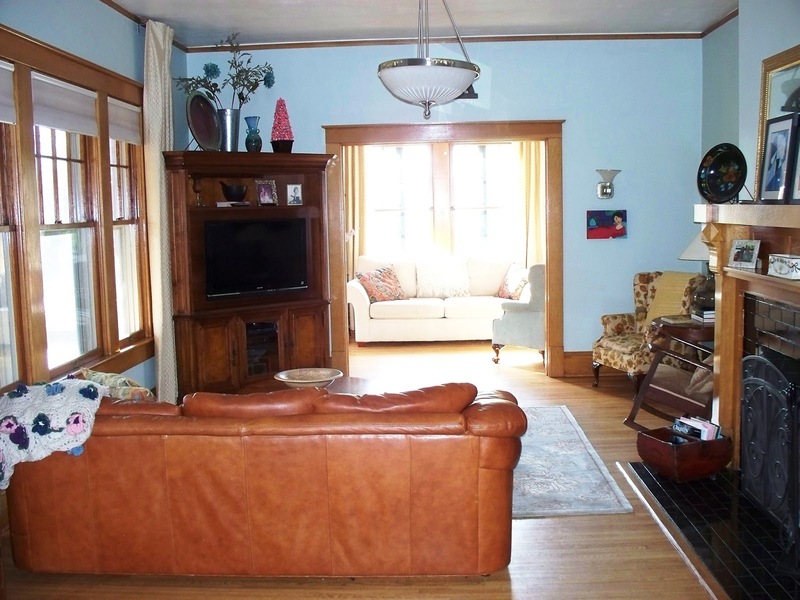 927 N. Main is perfect for entertaining. It features a large kitchen with new cabinets and an eat-in area ~ just off of the kitchen is a large dining room ~ which leads to the spacious living room. 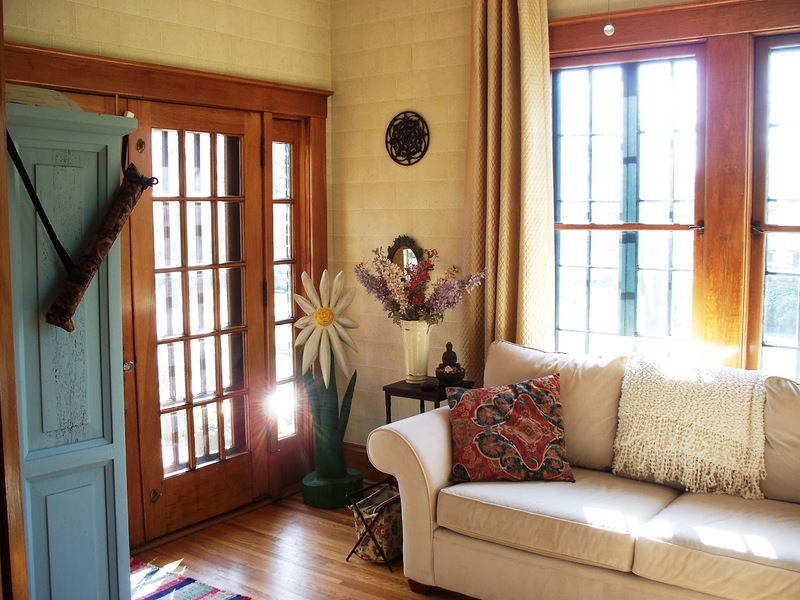 The flow of this 1647 square foot home is graceful and accommodating. 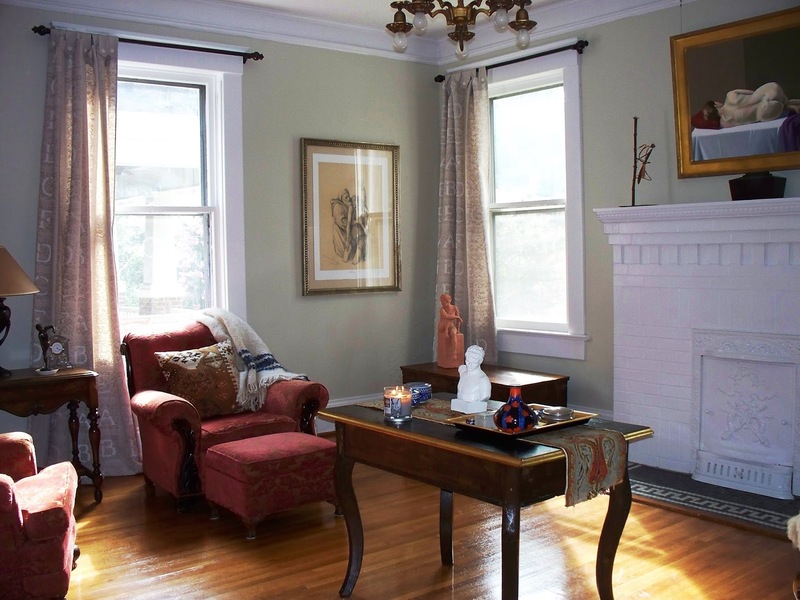 The center hallway design, complete with picture railing details for hanging your personal art collection, adds to the charm of this NOMA home. 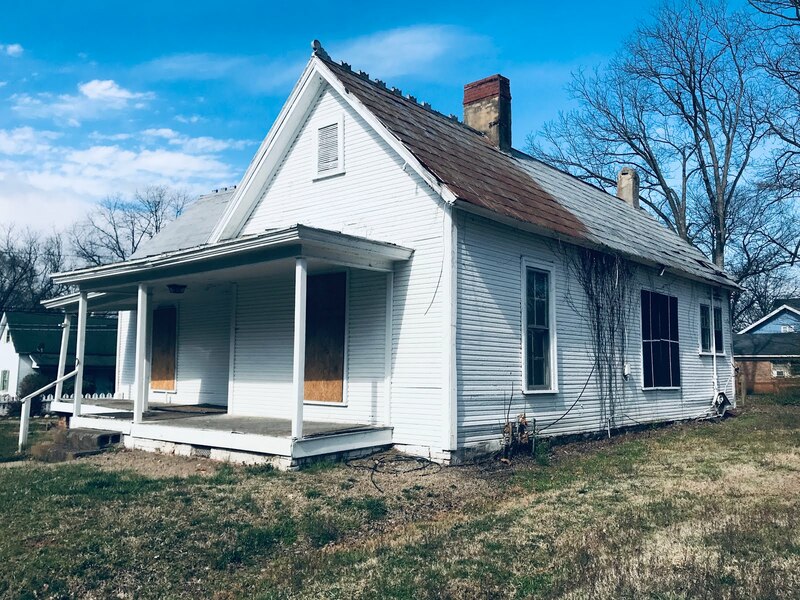 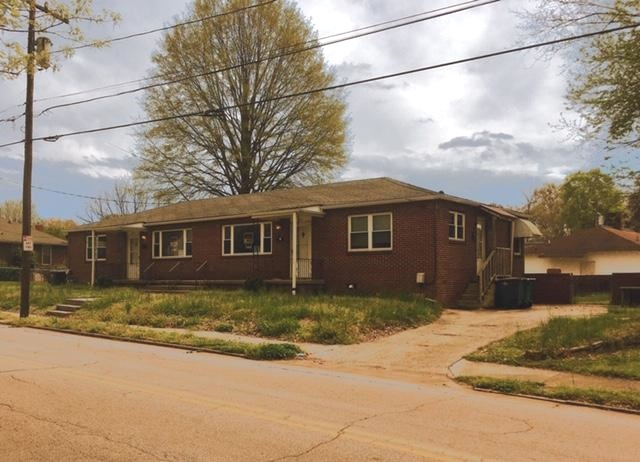 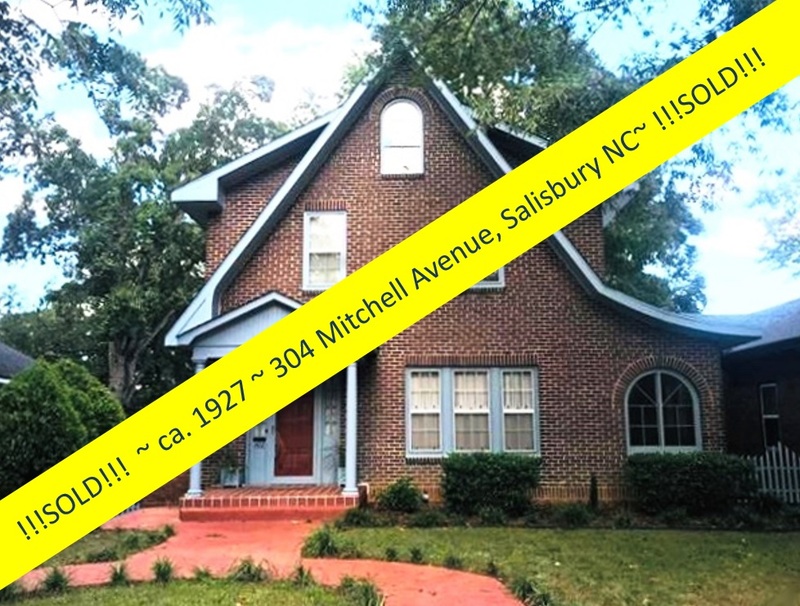 The home additionally has a very large attic space (over 600 sq feet) poised for future renovation, perhaps even a master suite or 4th bedroom could be in the planning! 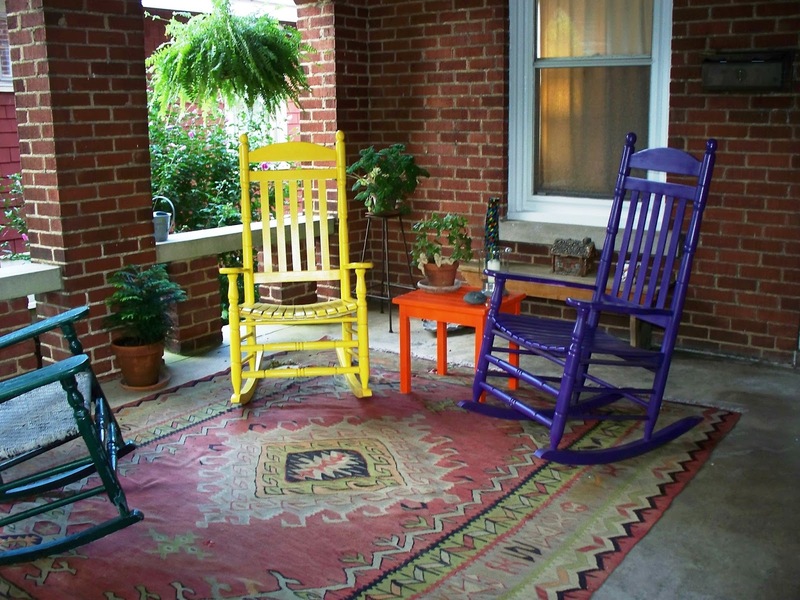 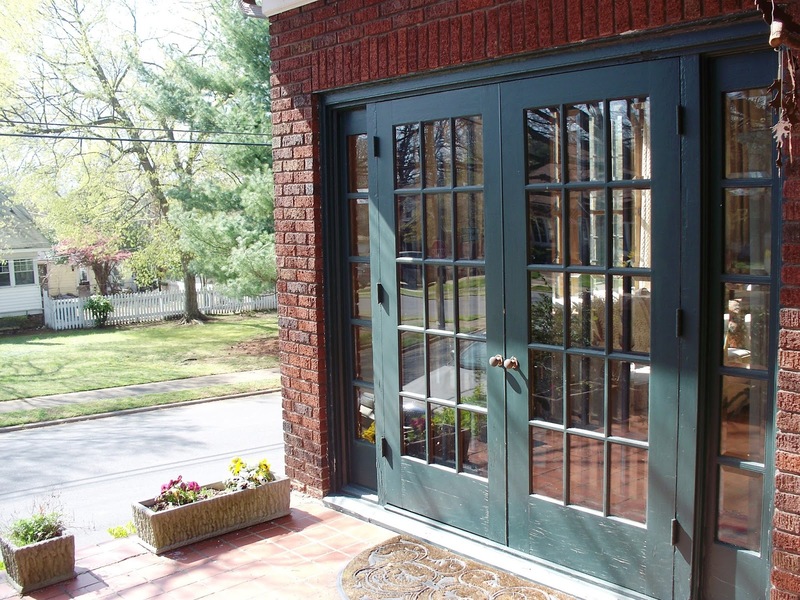 If you think the front porch is private ~ the back yard will enchant your sense of privacy even more so. 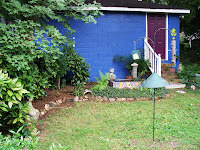 The yard is a garden mecca with mature walnut, pecan, and fig trees, a Zen garden, patio area, small water feature, & some custom tile work. 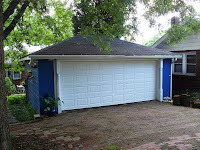 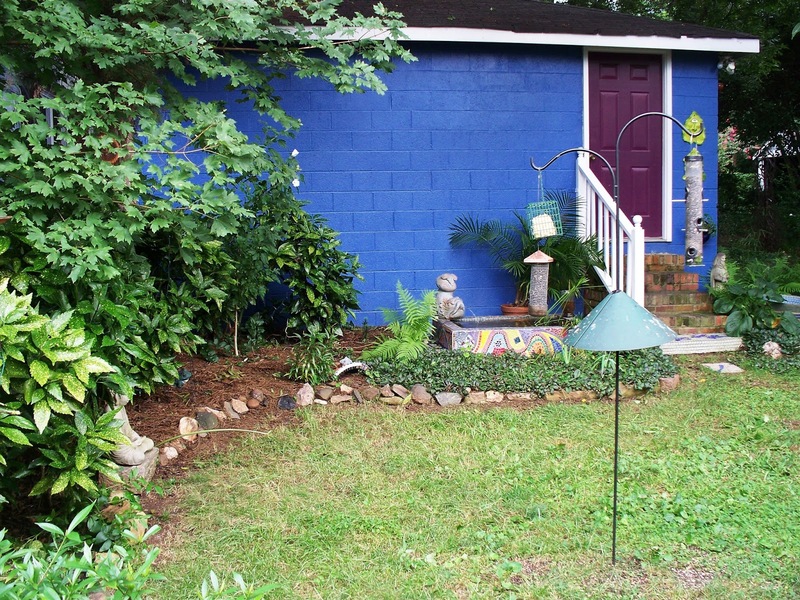 A very nice two~car garage, currently painted a vivid sky blue, is another backdrop for garden art, setting off the mosaic work in the garden perfectly. 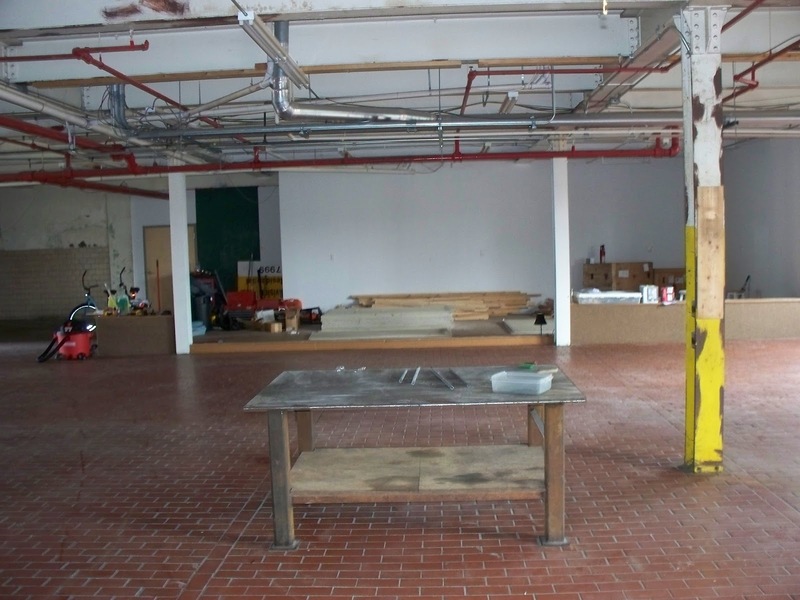 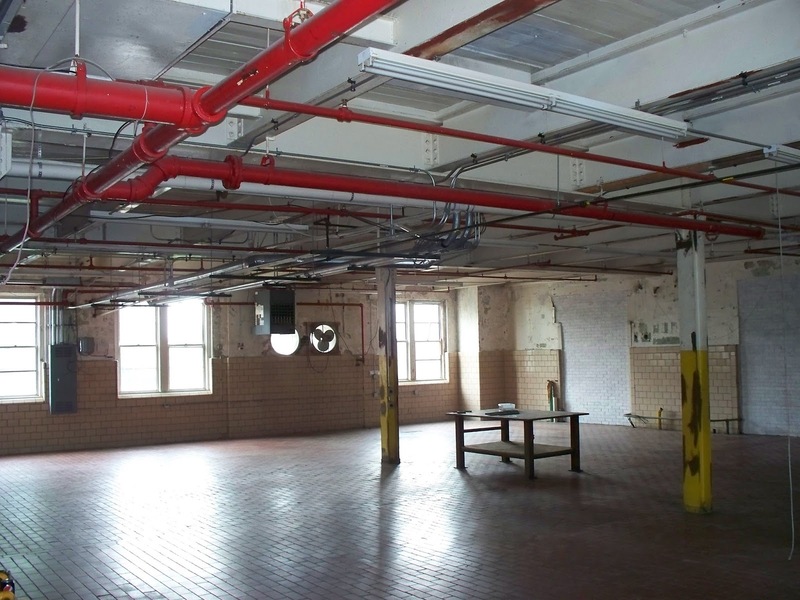 Speaking of garages, the parking for this NOMA home is behind the house off a rear alley. 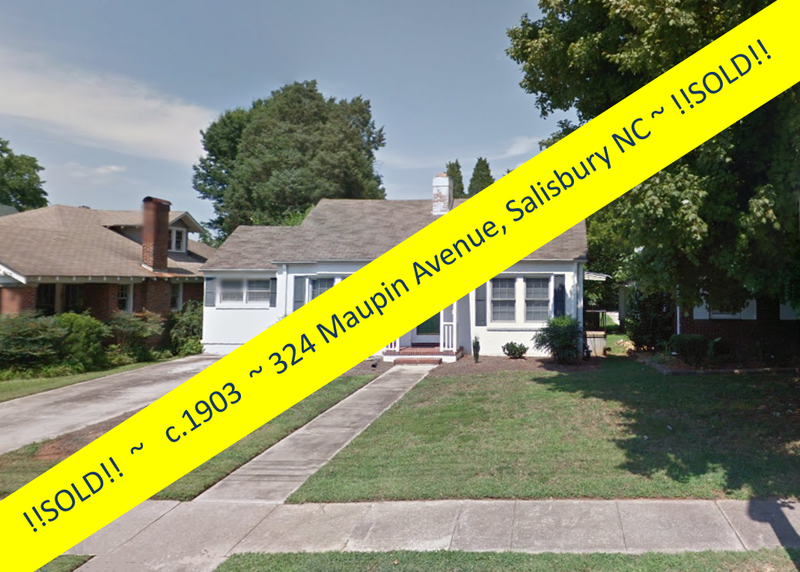 At one time, many of these early 20th century homes in Salisbury were accessed by these alleyways that threaded behind homes between two streets. Many of these alleys are gone, but 927 N. Main’s alley remains and is a delightful addition to the home. 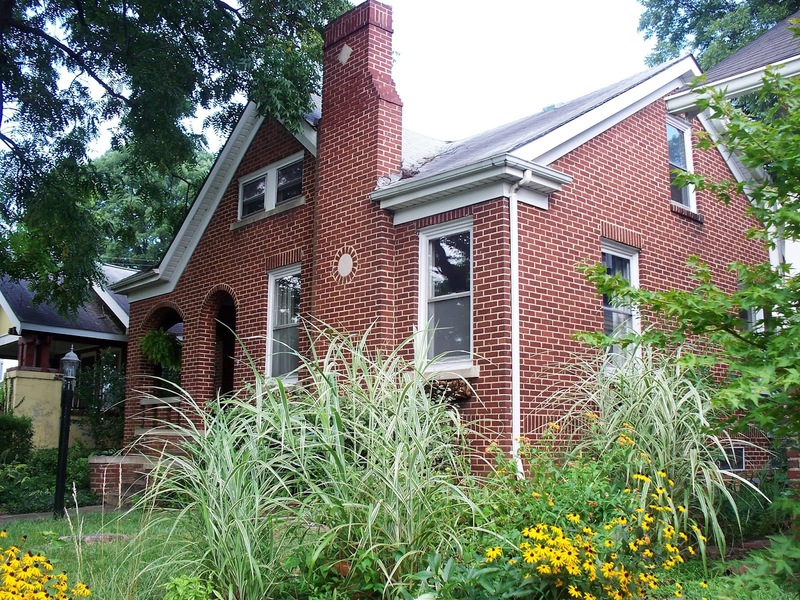 927 N. Main is in North Main Historic District (NOMA). 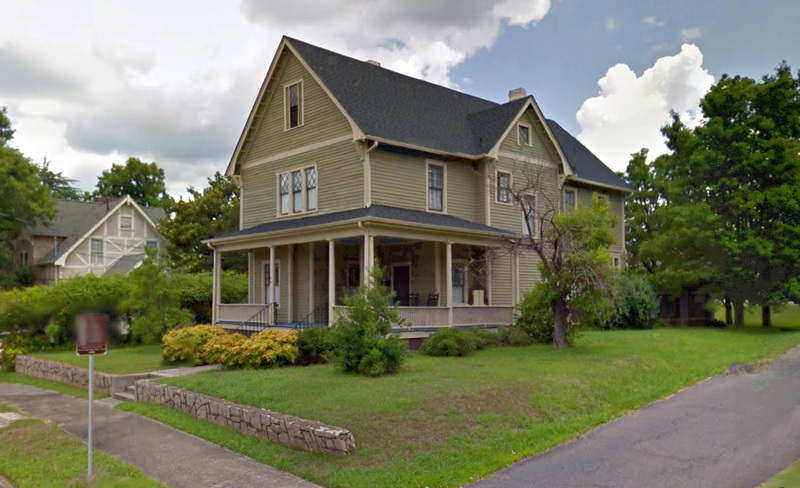 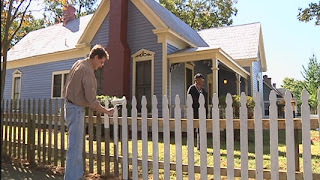 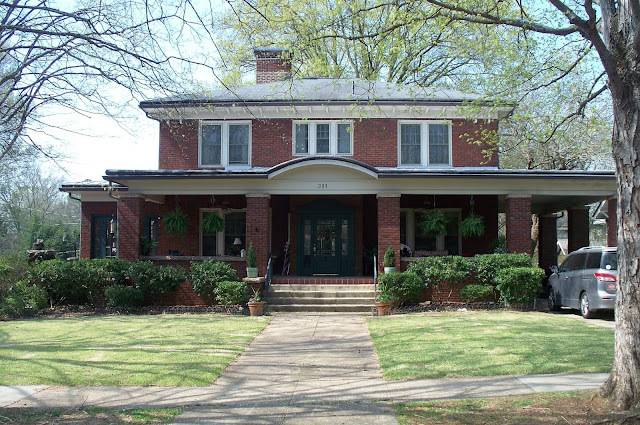 The North Main Historic District has both a local and national historic designation. 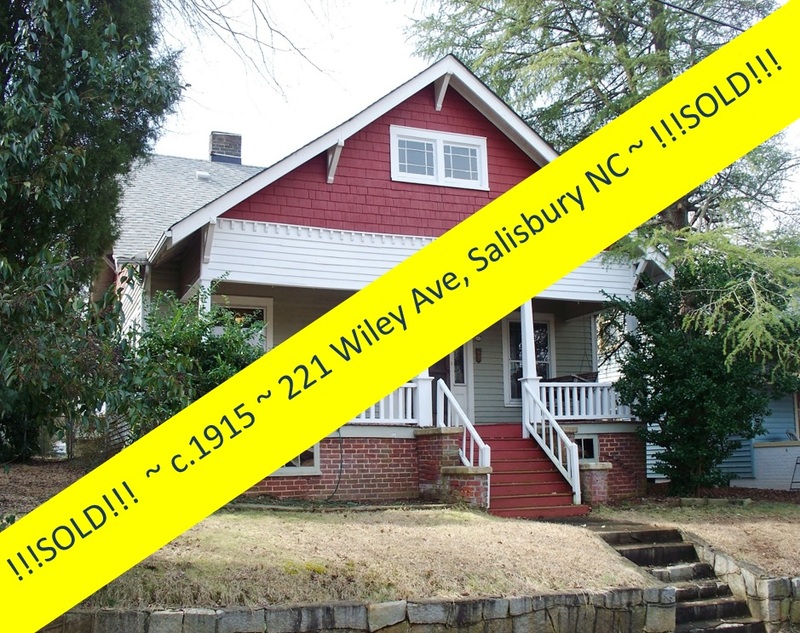 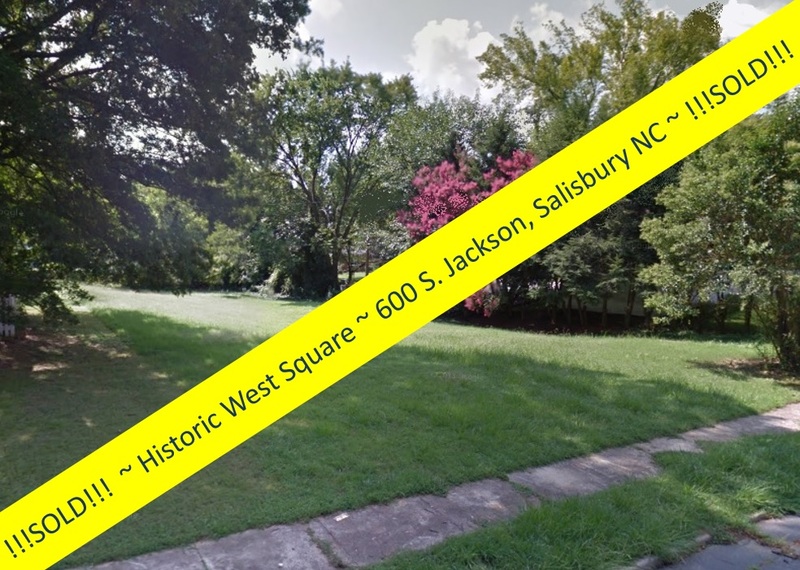 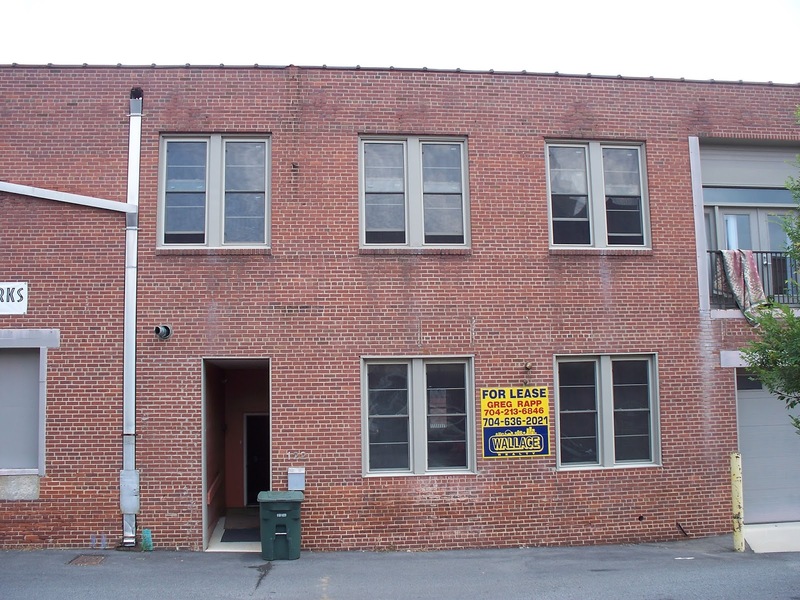 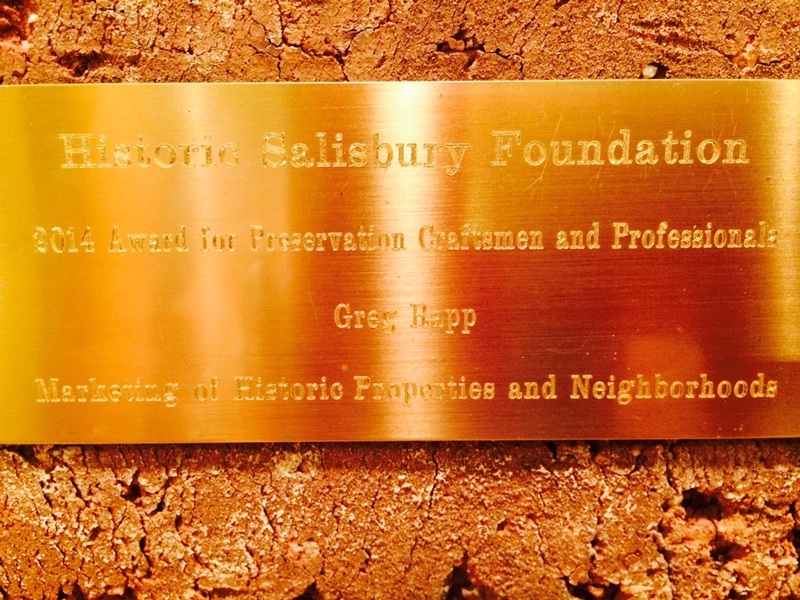 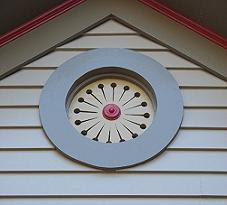 City of Salisbury offers grant monies for exterior maintenance. 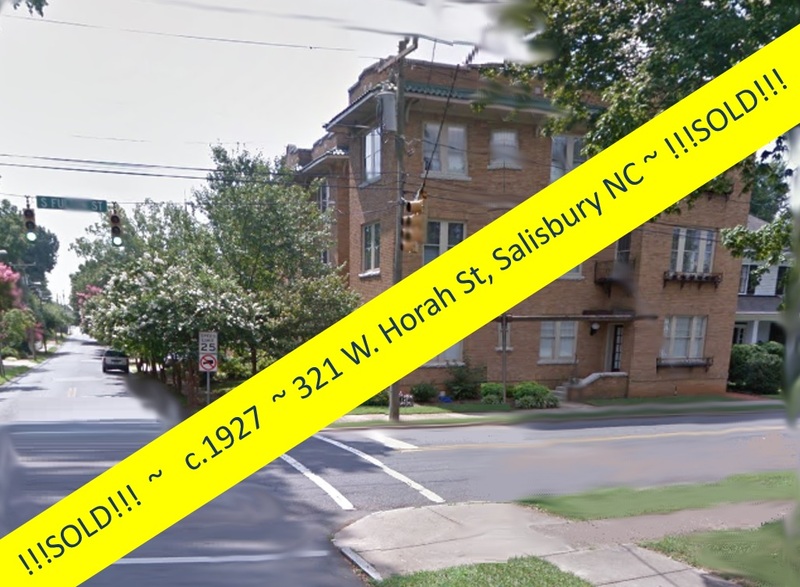 North Main has a voluntary neighborhood group that works with the city to continually improve the quality of living in the district: www.north-main.org The neighborhood has recently been working with the City of Salisbury on a community appearance improvement project for the 11th Street intersection of N. Main, where residents can soon expect to see a pocket park and planting areas. 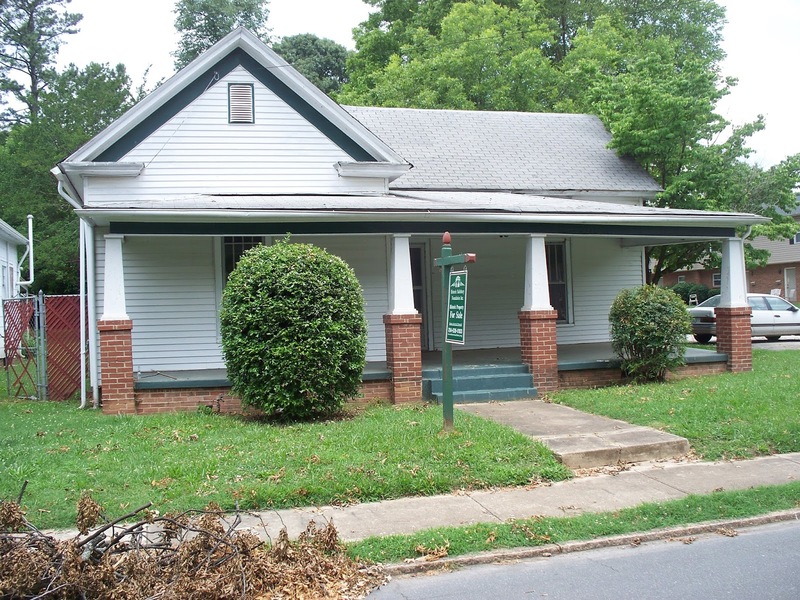 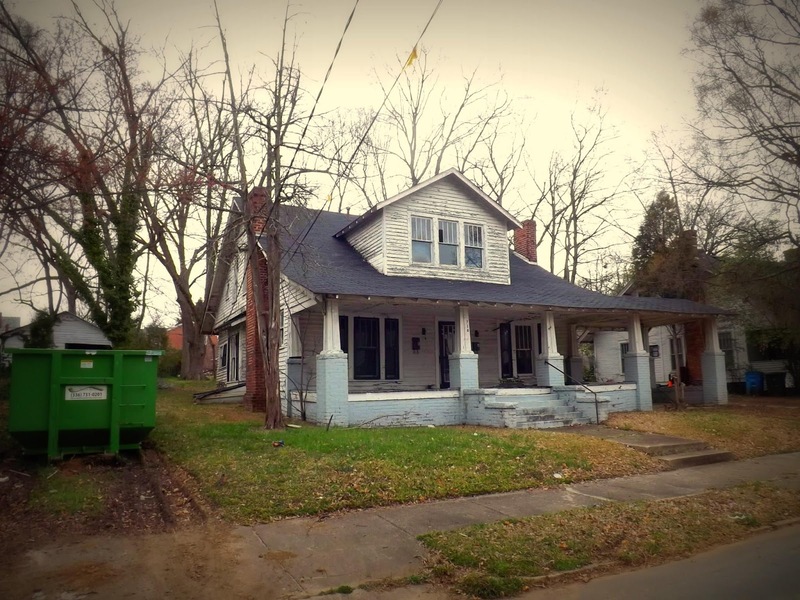 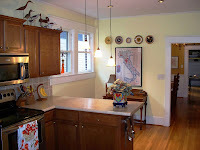 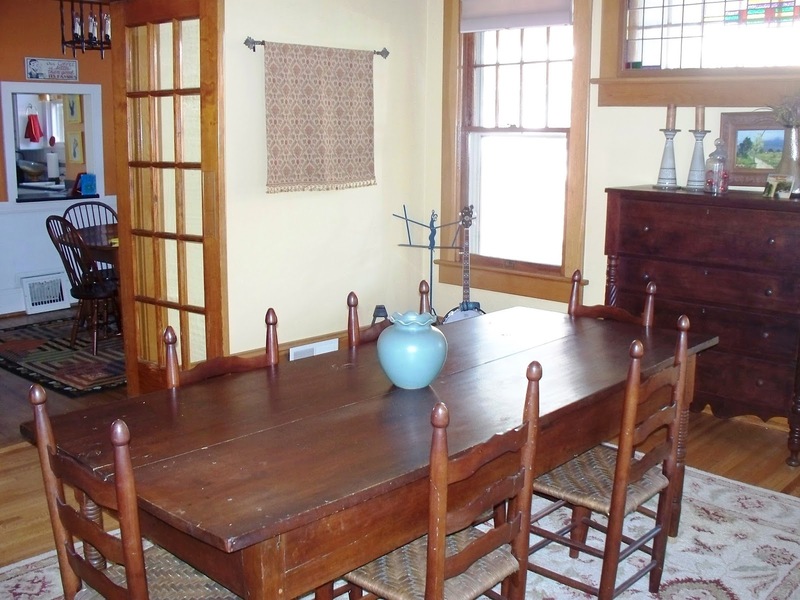 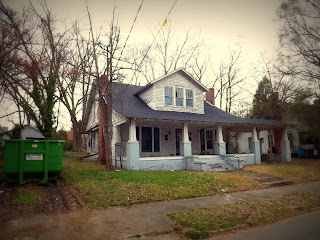 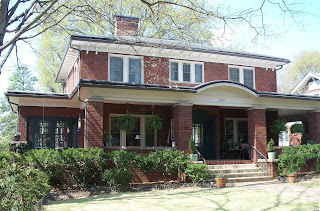 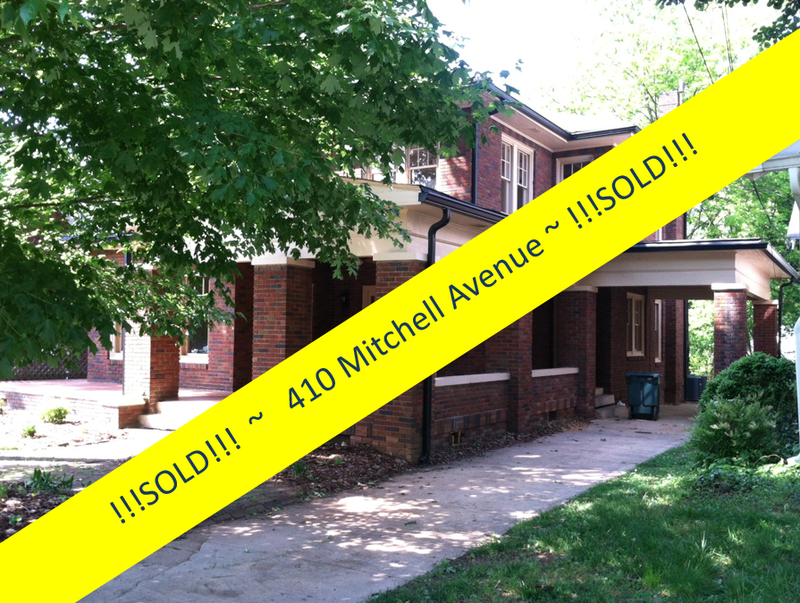 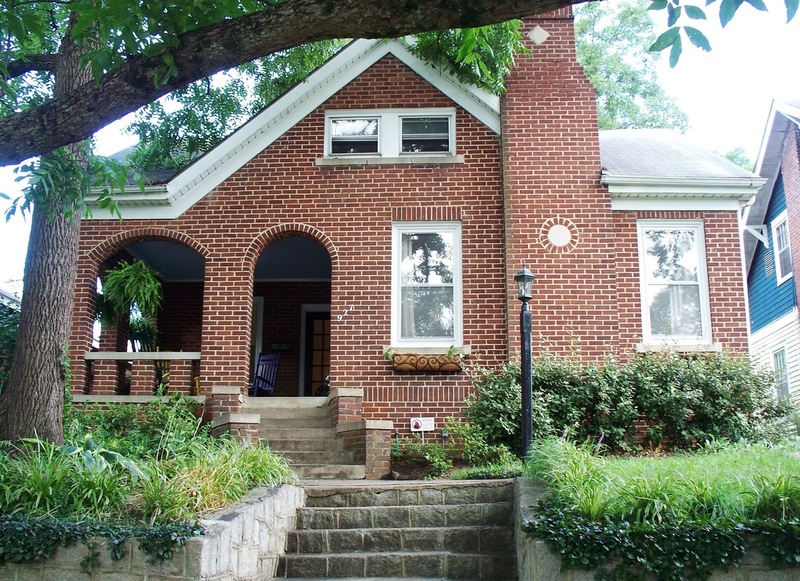 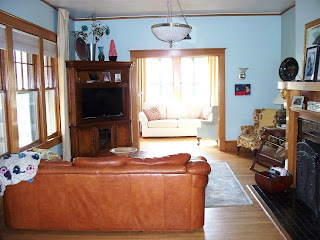 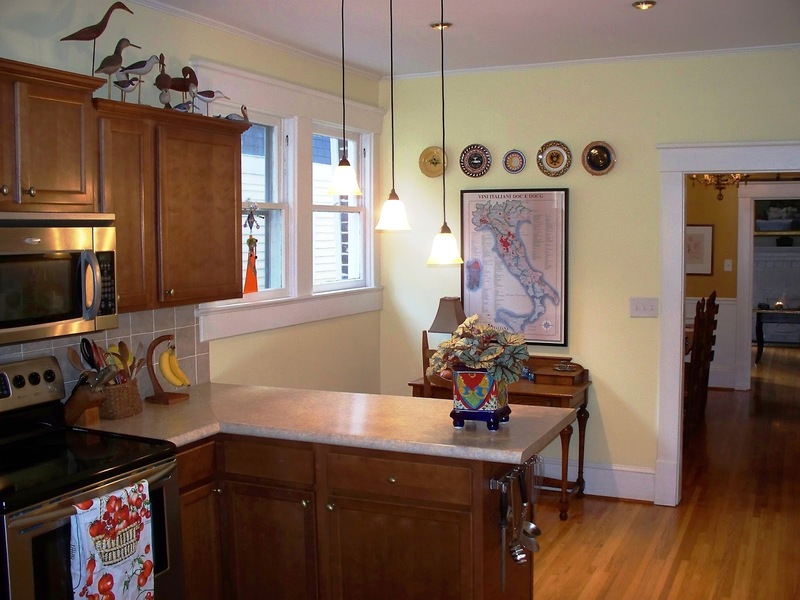 This sweet circa 1928 brick home has new HVAC, and had new electric and plumbing installed in 2008. 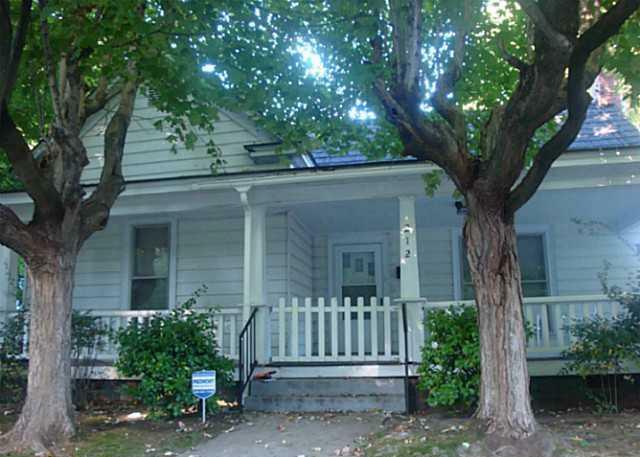 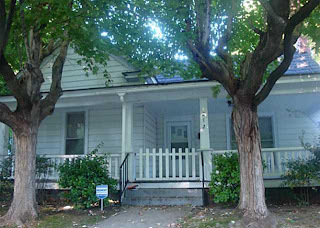 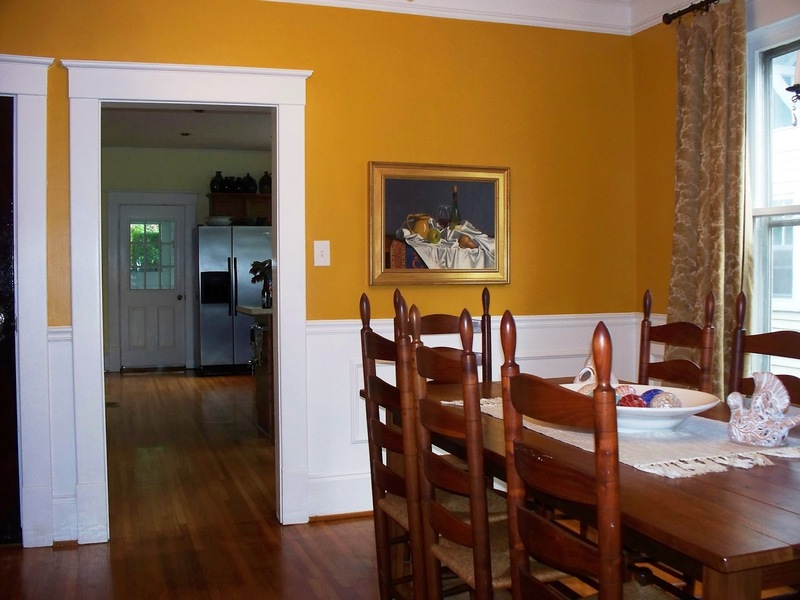 It is move-in ready and in immaculate condition. 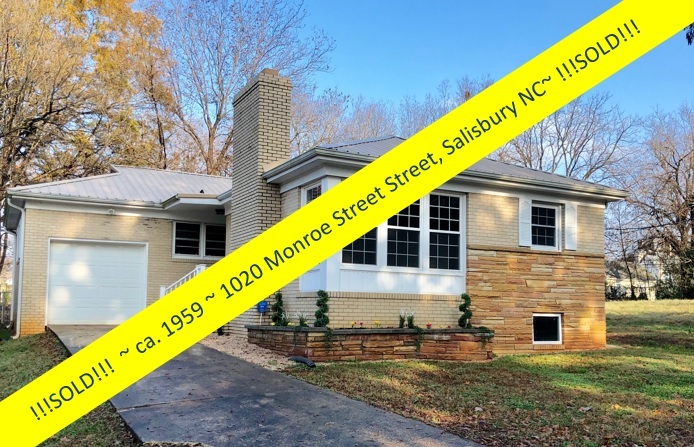 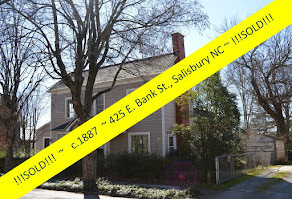 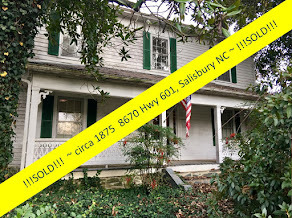 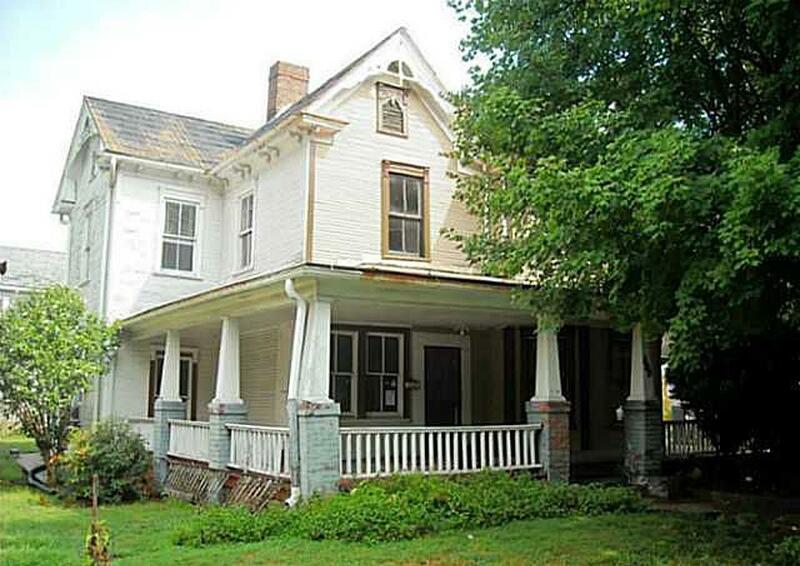 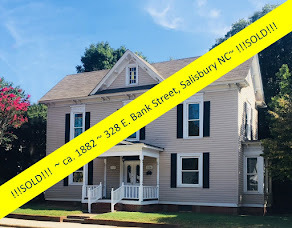 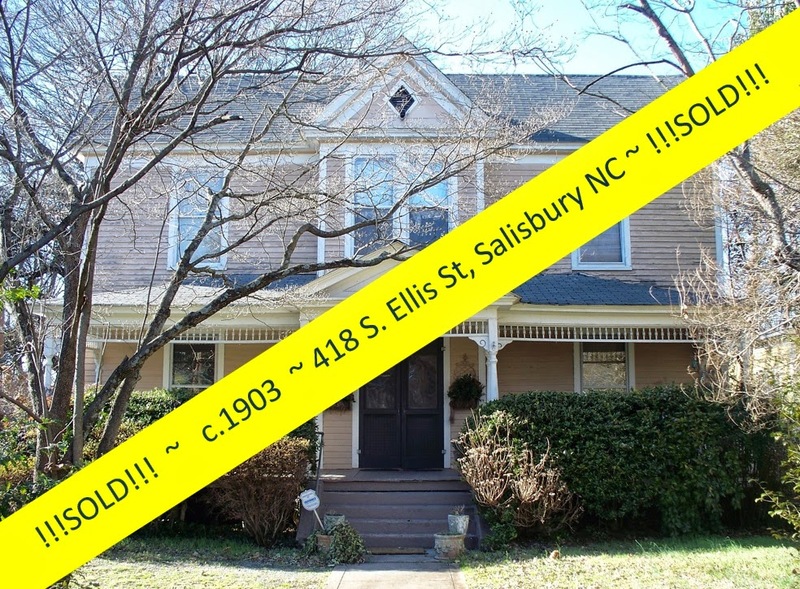 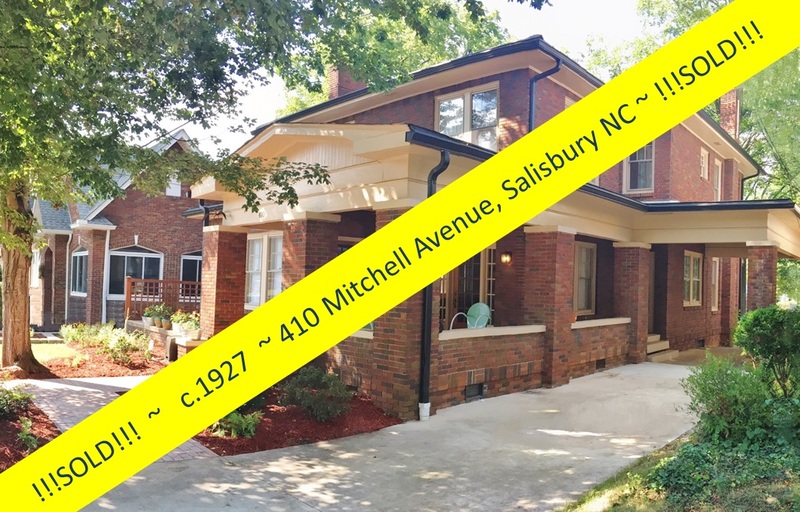 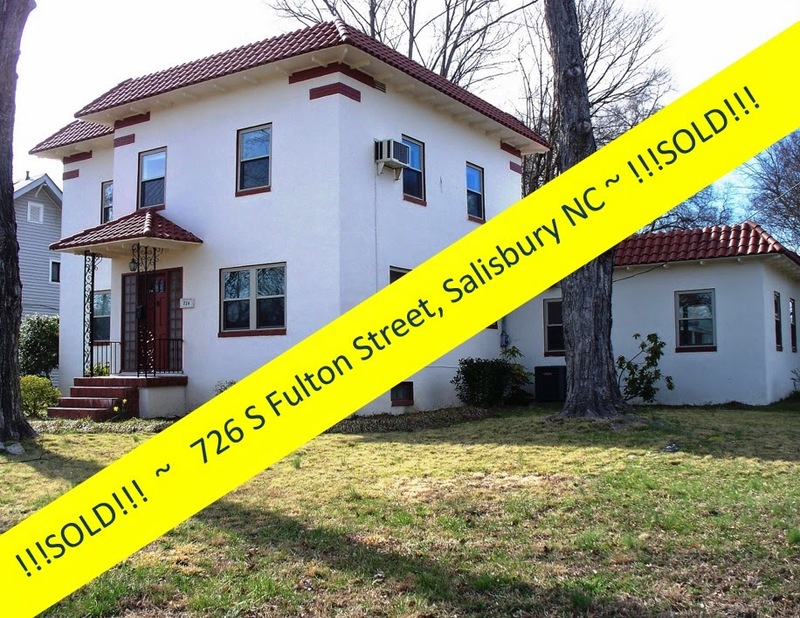 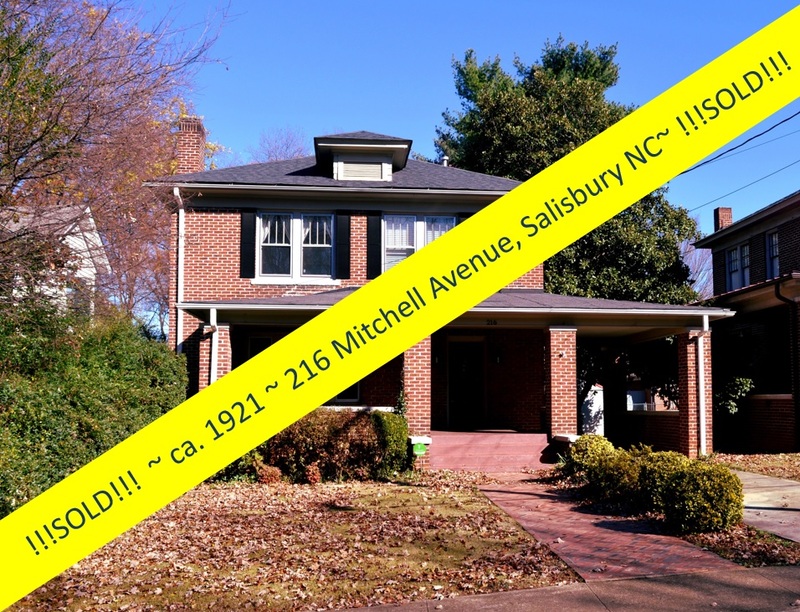 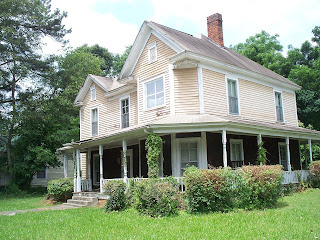 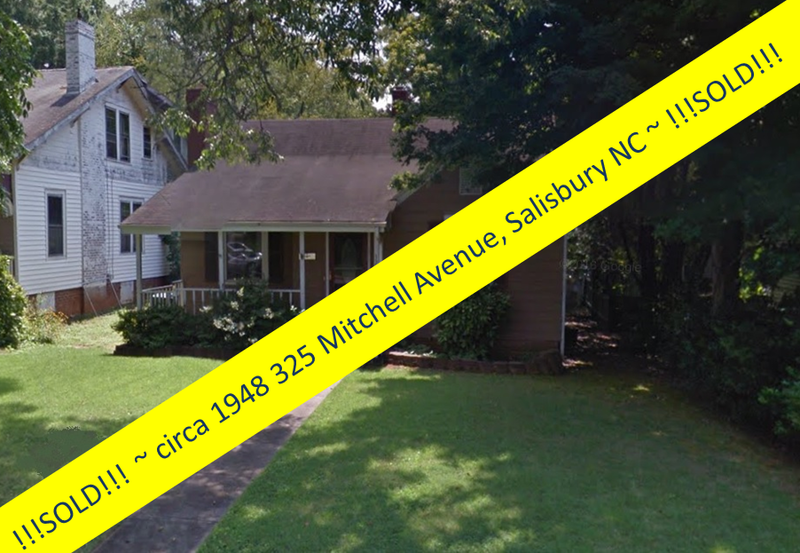 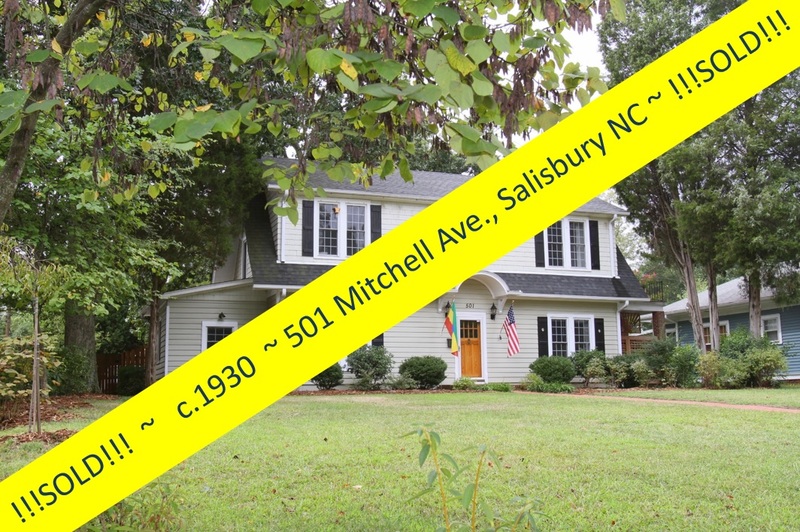 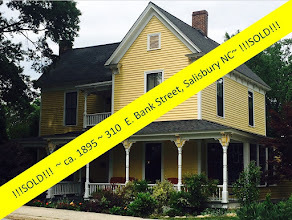 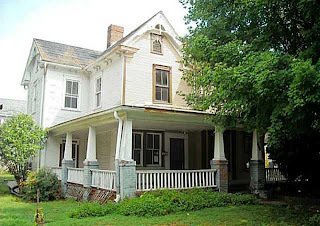 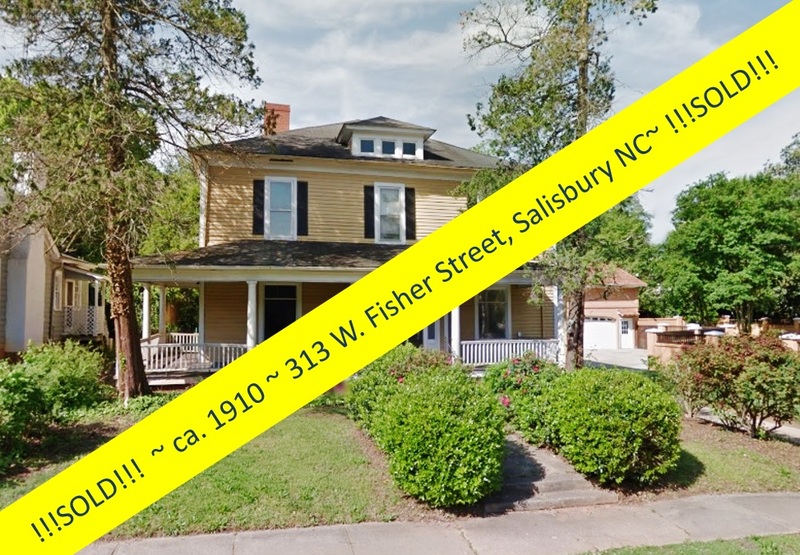 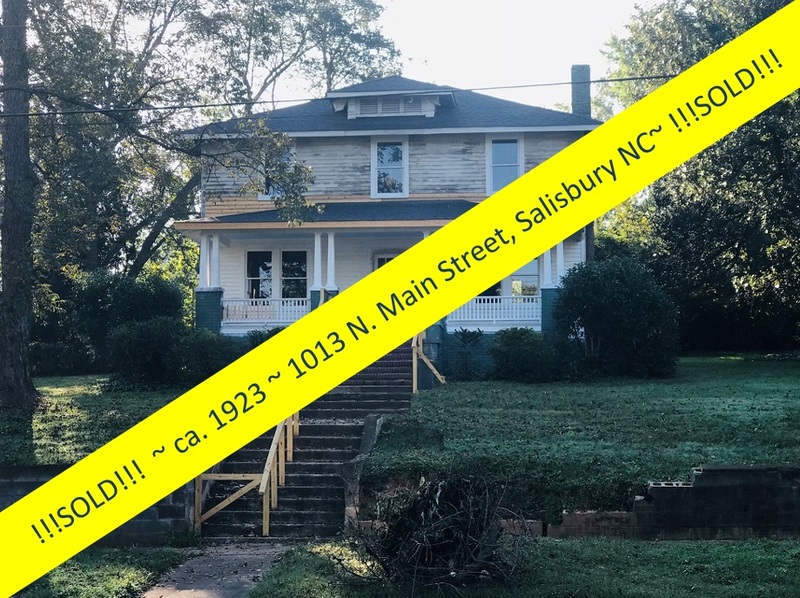 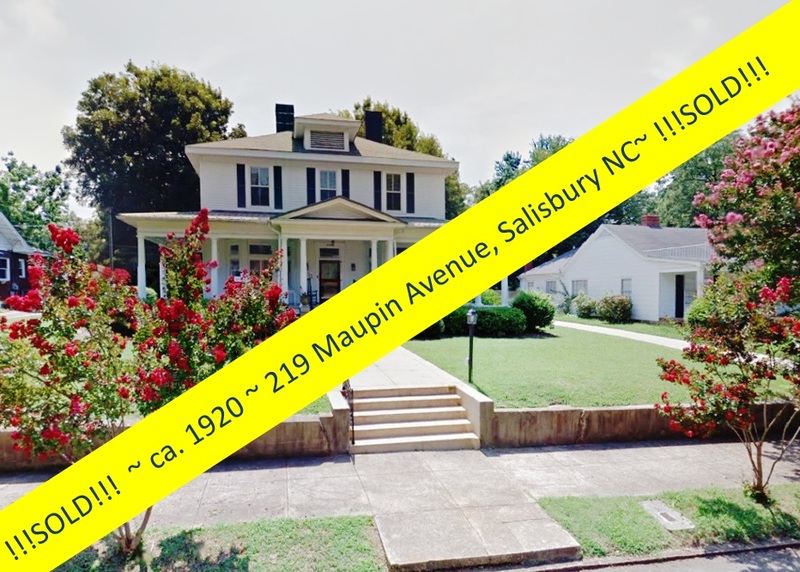 It is rare to find such a fine home of this era in this perfect condition, and so close to downtown Salisbury amenities such as art galleries, restaurants, museums, music venues, and shopping. 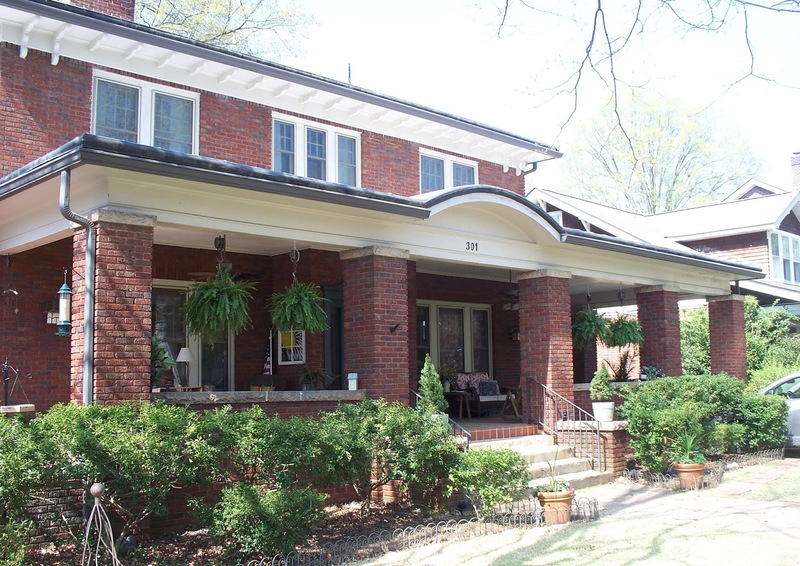 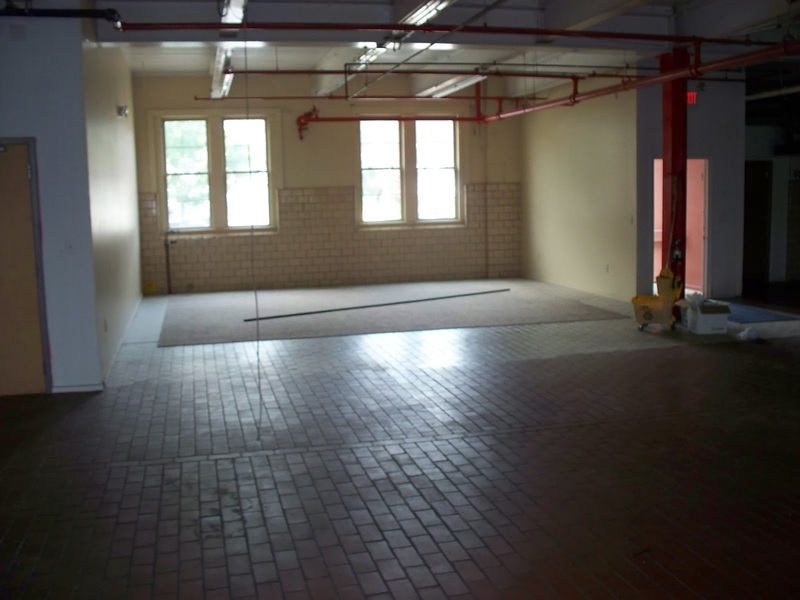 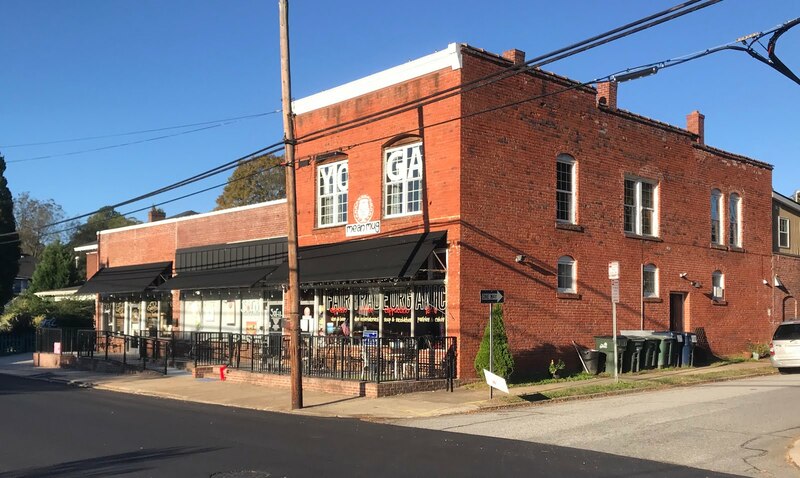 927 is just two blocks from the City Park and two more from the lovely Hurley Park, making it a perfect home for the walking or jogging enthusiast, and approximately 2 miles from the Interstate, and even less to the Amtrak station, making it perfect for the travel enthusiast. 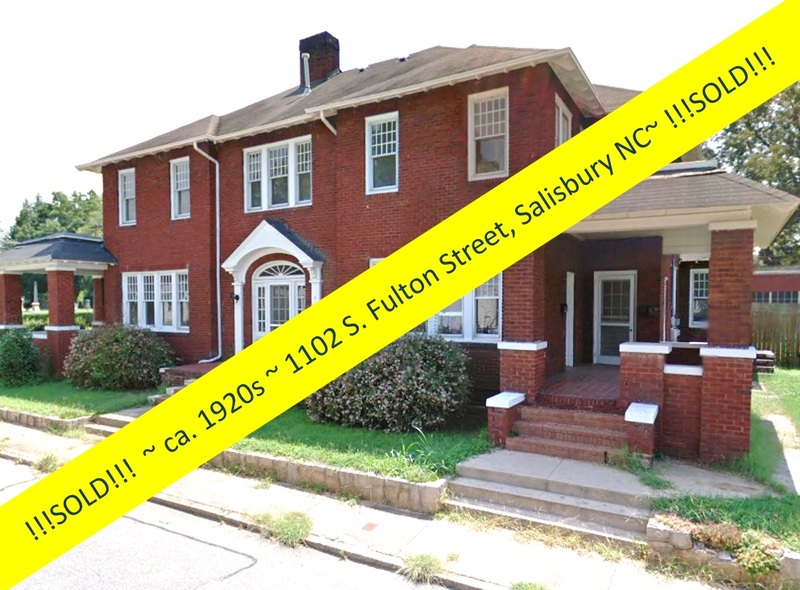 We told you Location ~ Location ~ Location! 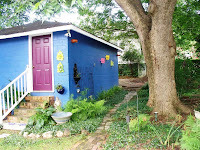 This home has got it!!! 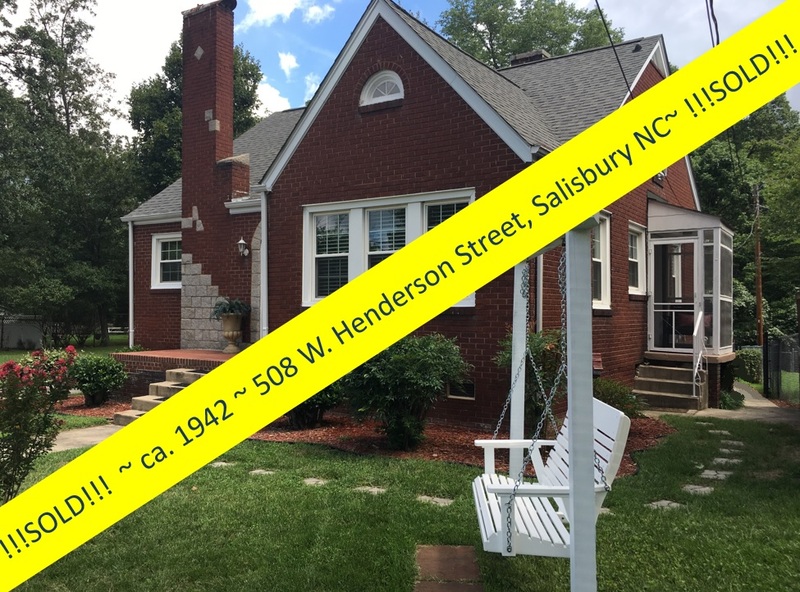 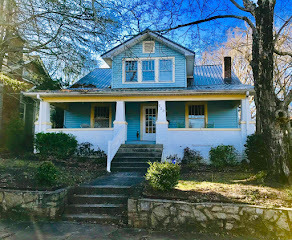 If you always dreamed of living in your own grown~up tree house, the front porch alone will have you hooked ~ but come see the rest of the charm this impeccable vintage home has to offer. 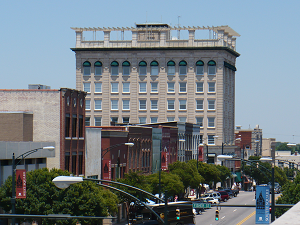 Rise above it all ~ on North Main! 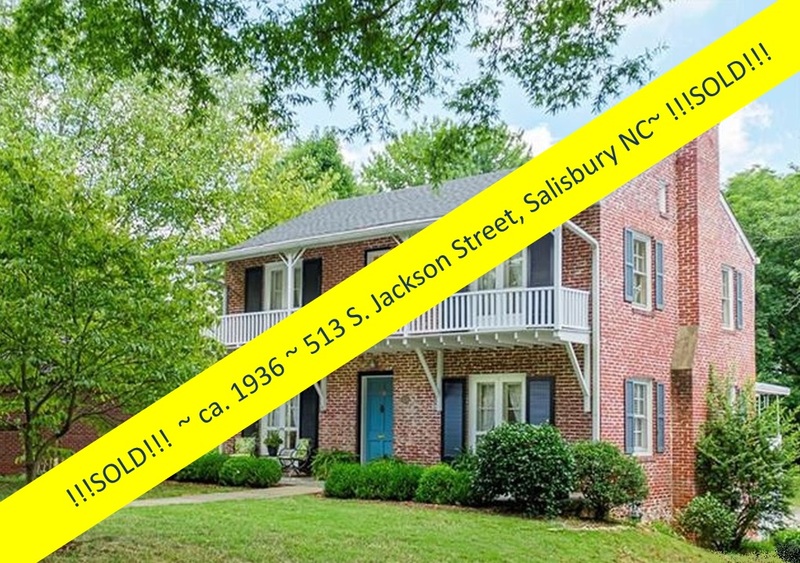 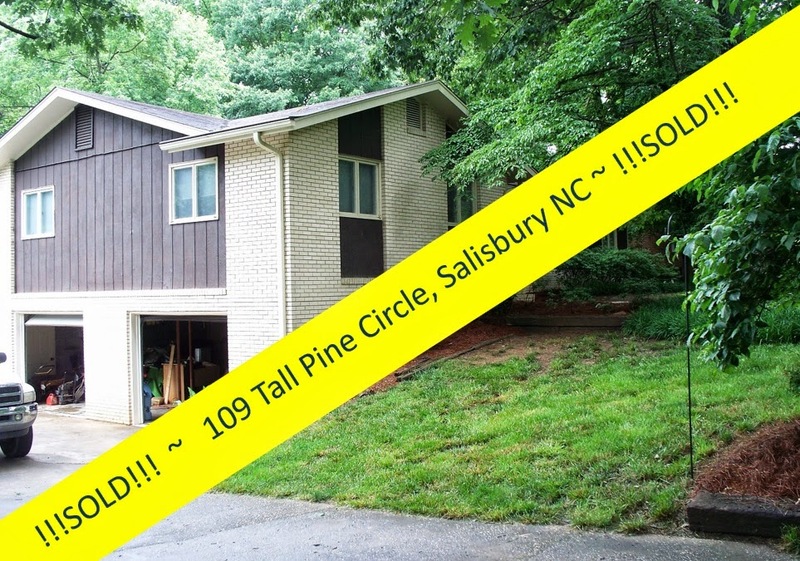 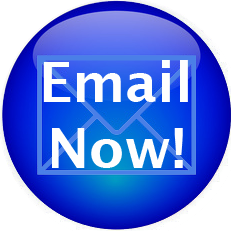 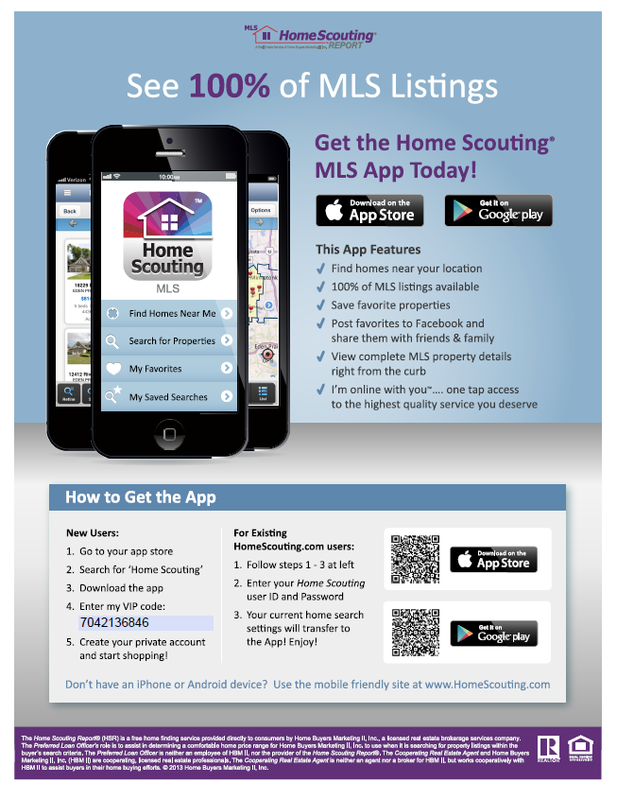 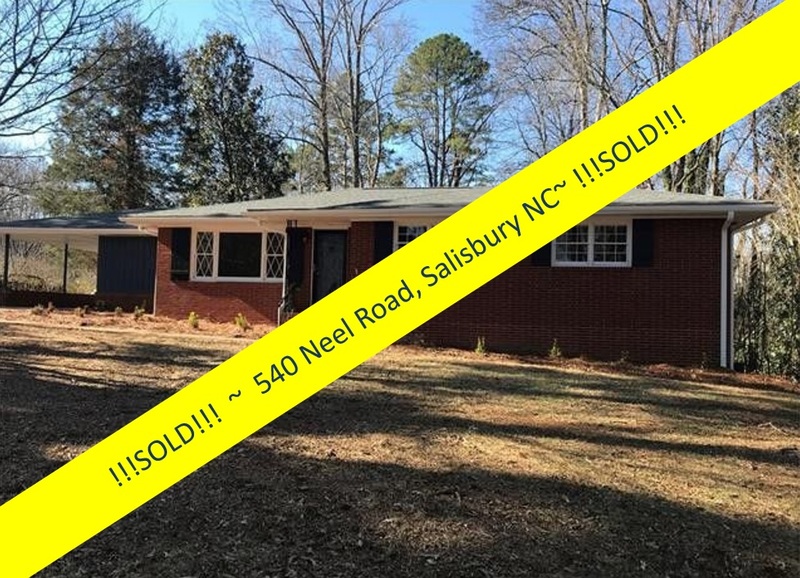 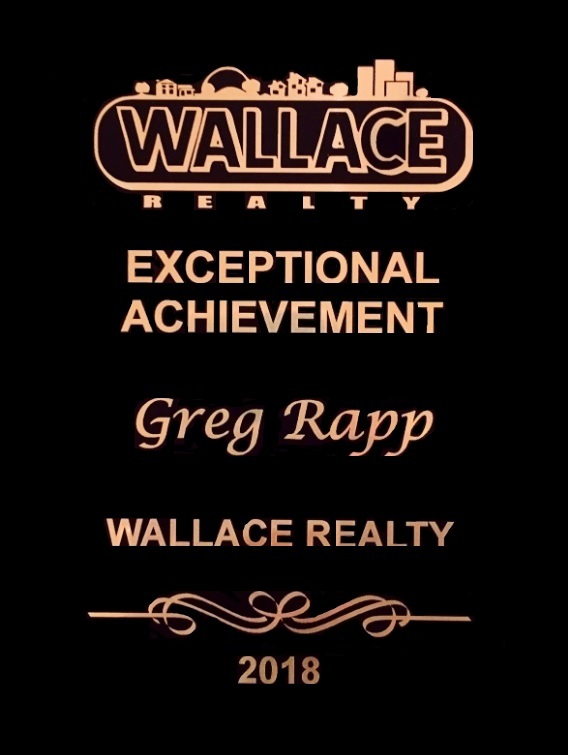 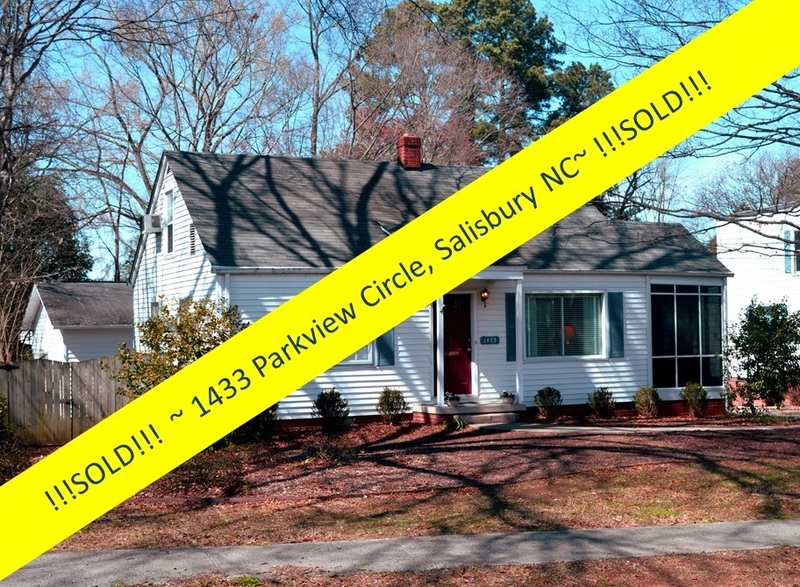 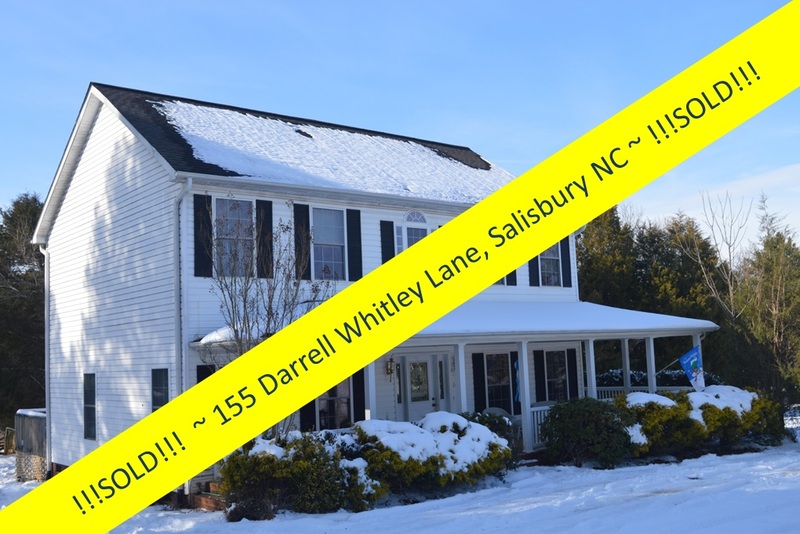 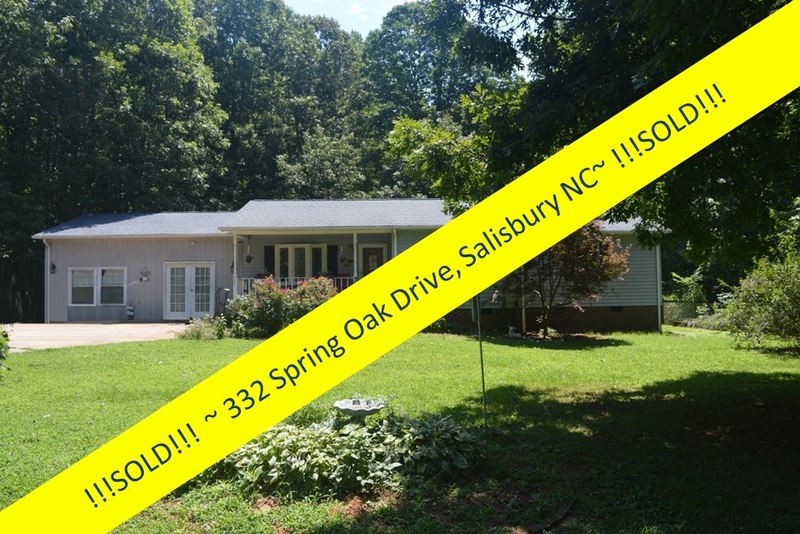 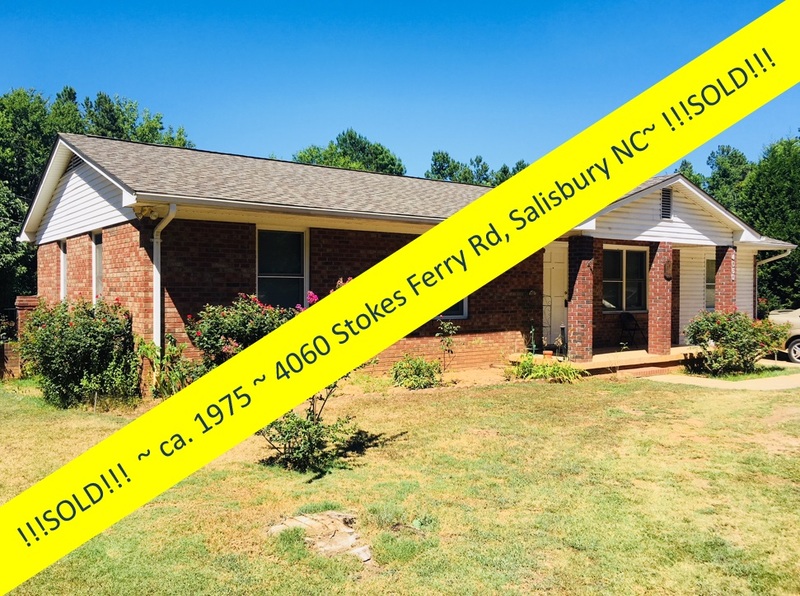 Call Salisbury Realtor® Greg Rapp to make an appointment for a showing ~ you will not be disappointed. 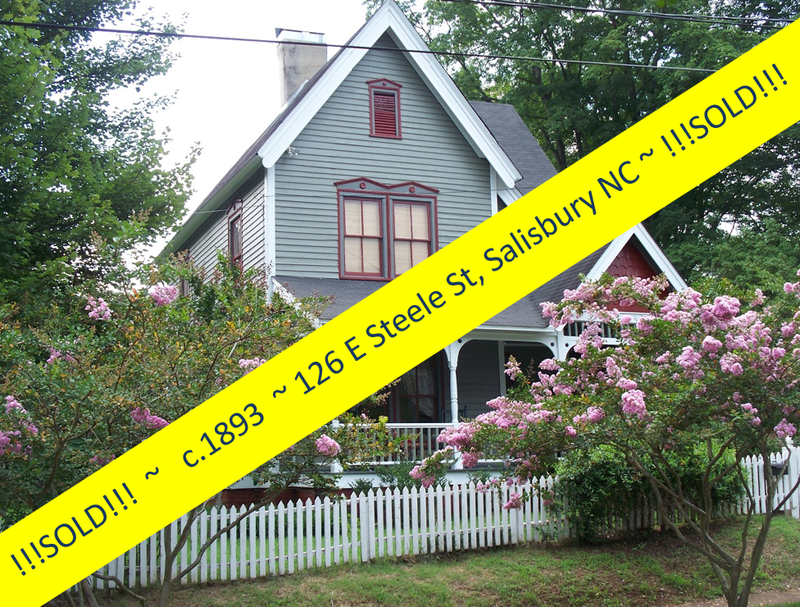 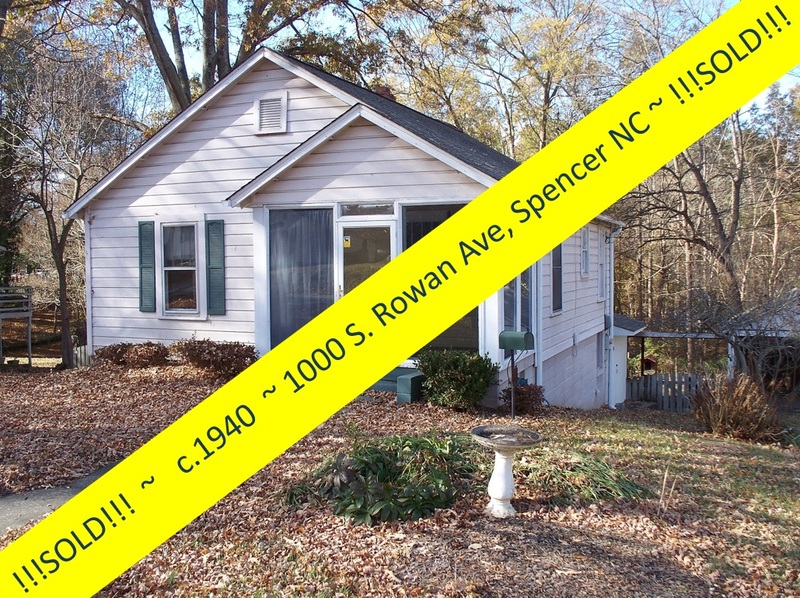 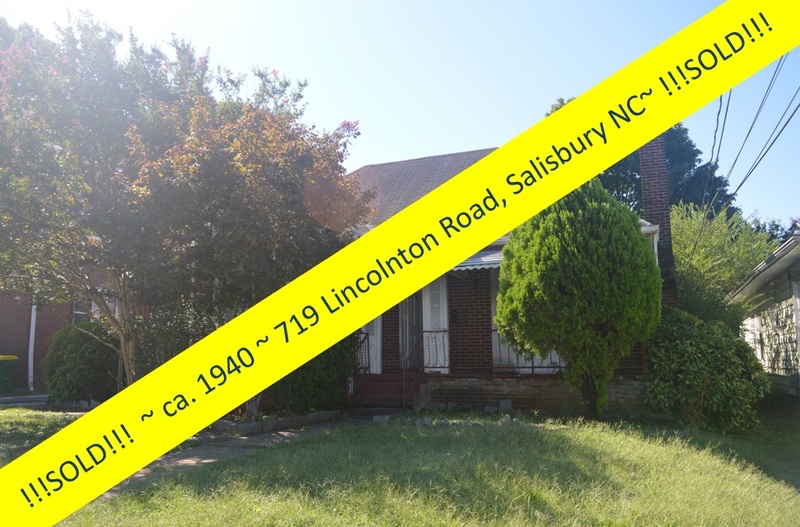 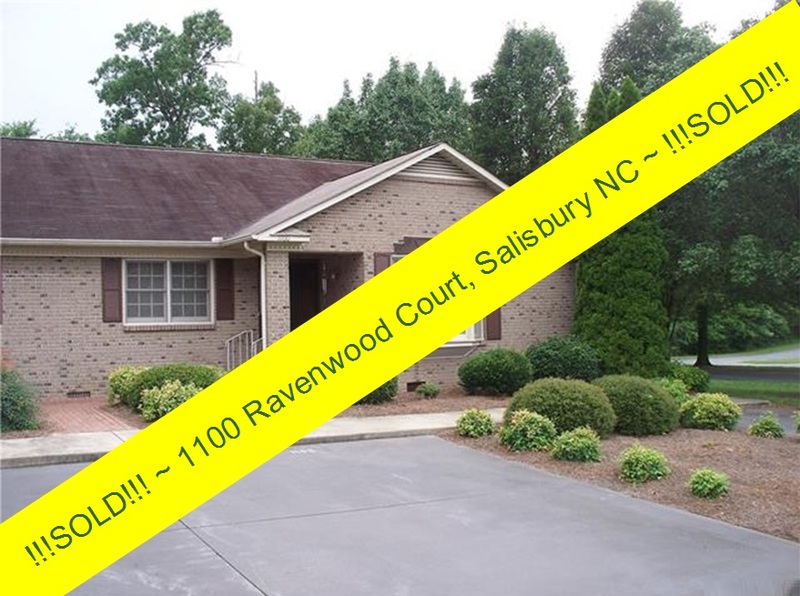 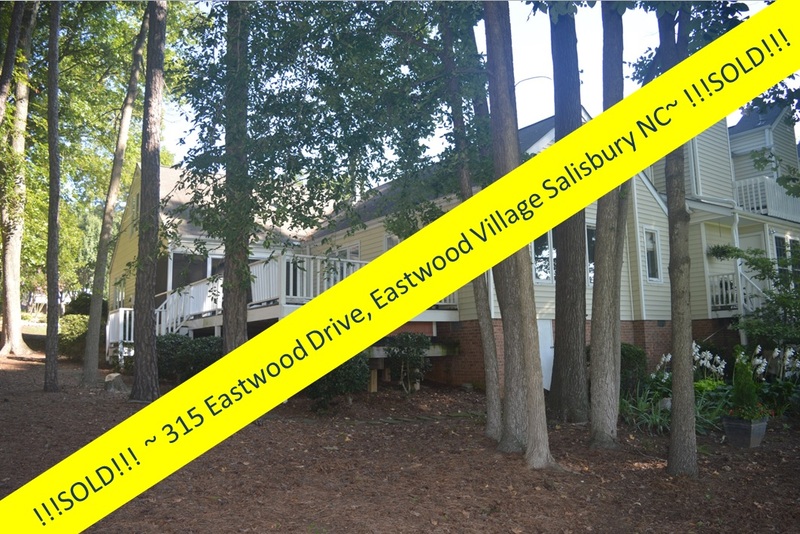 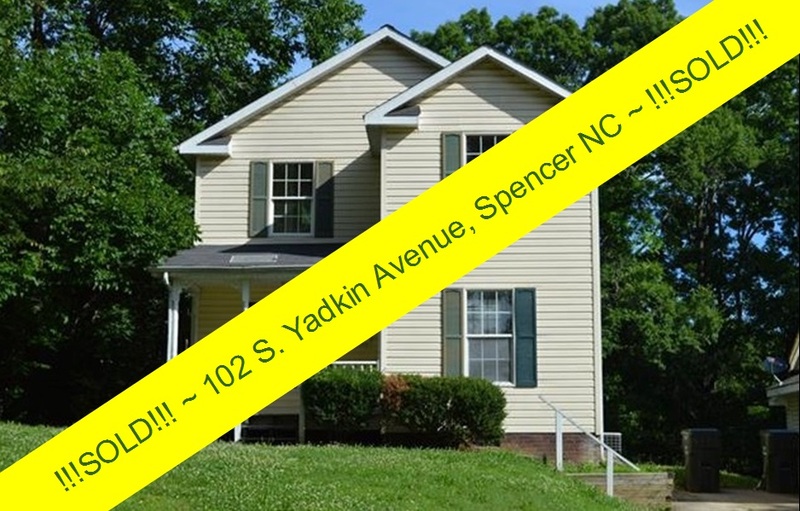 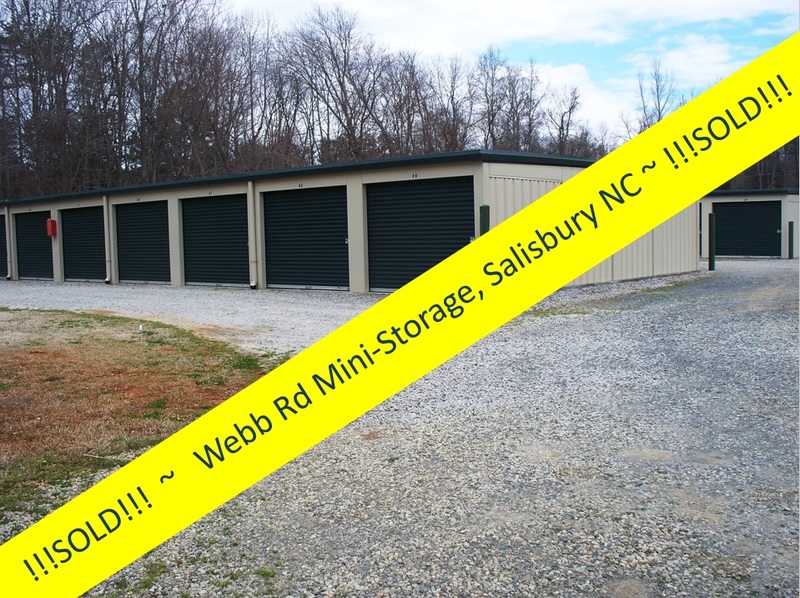 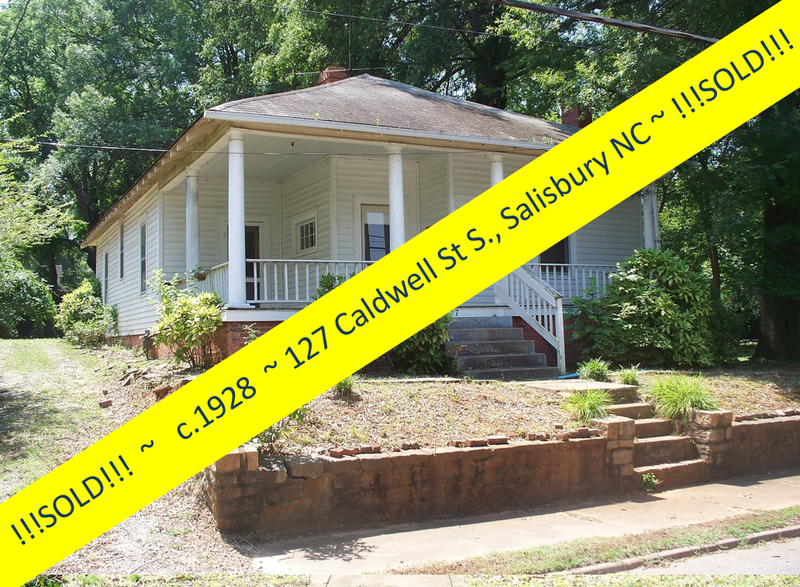 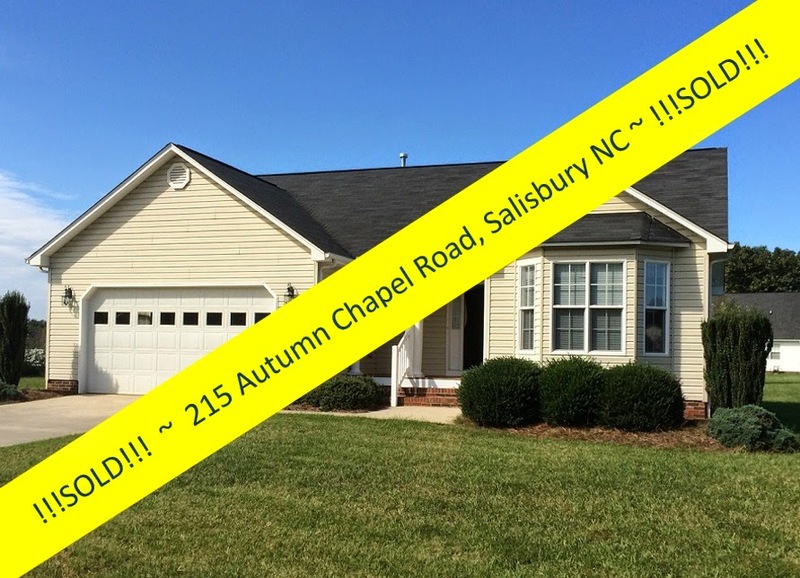 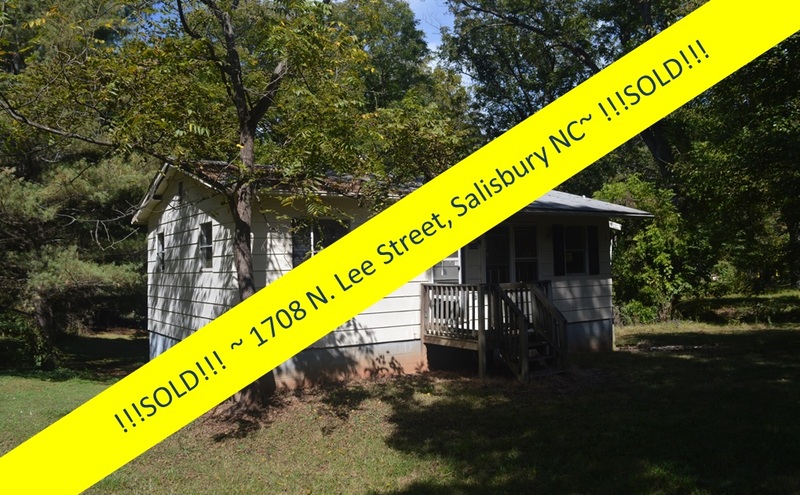 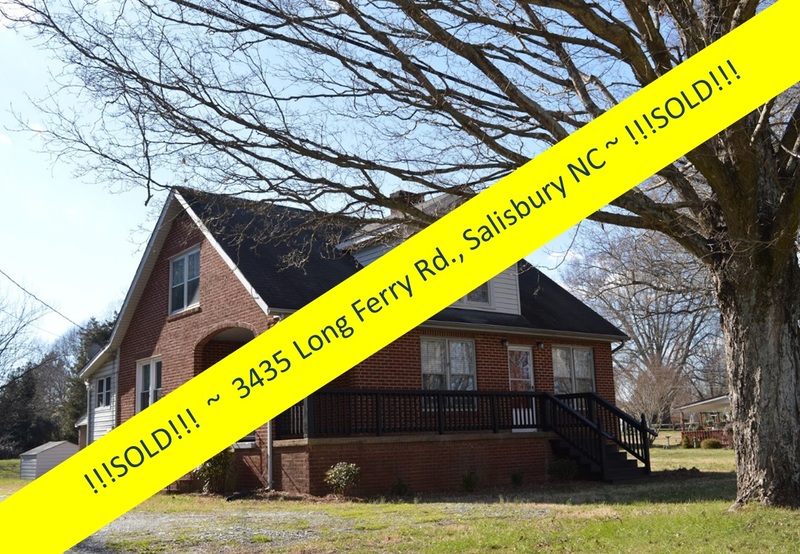 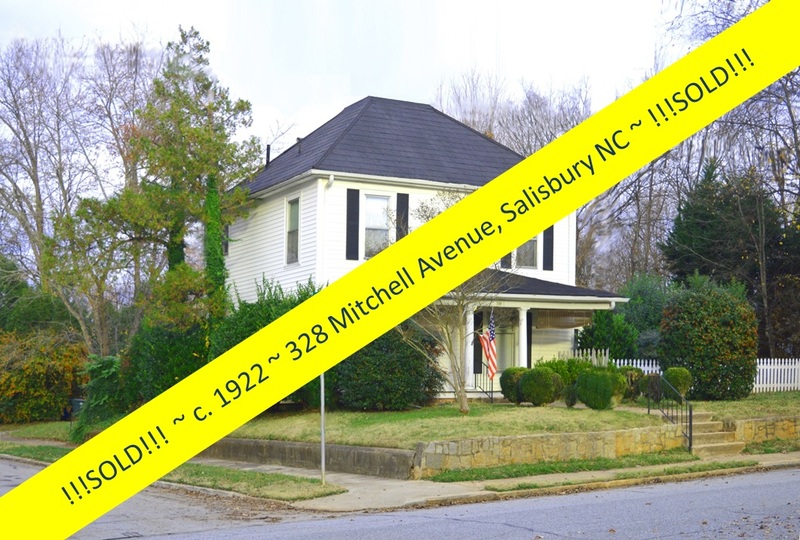 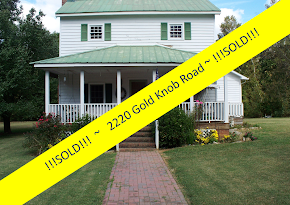 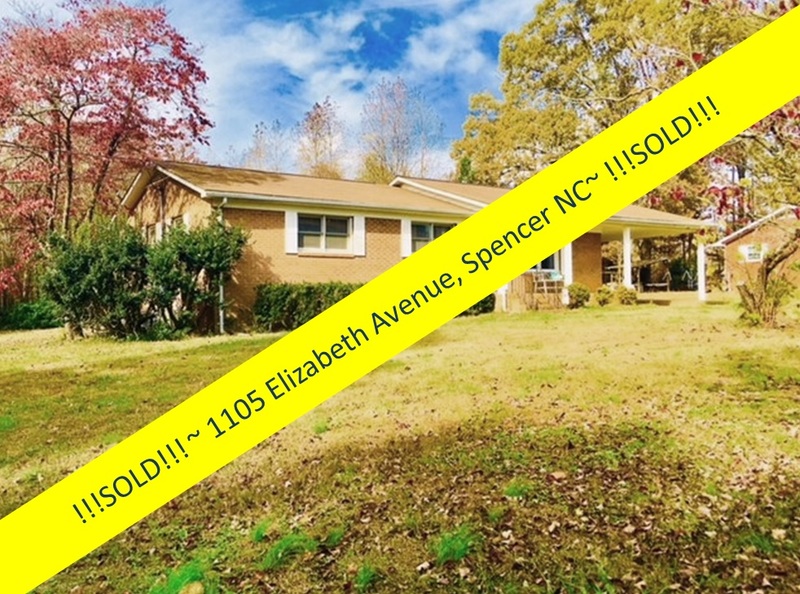 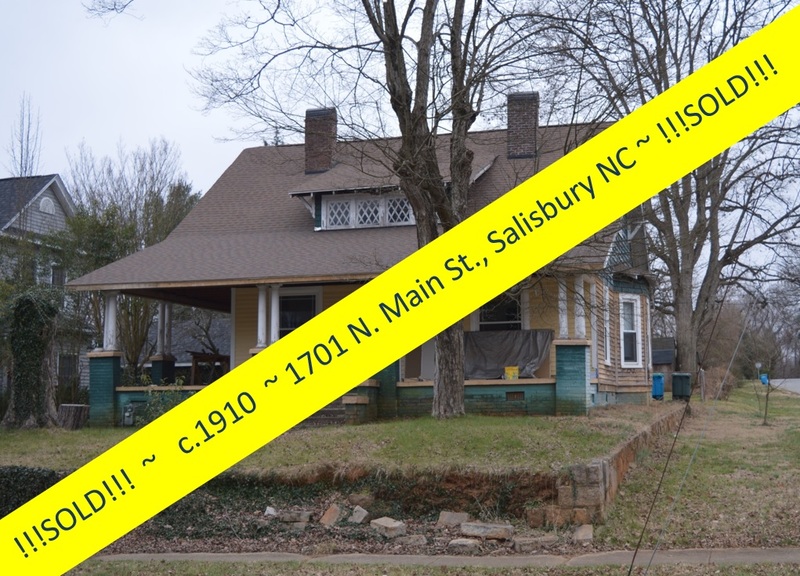 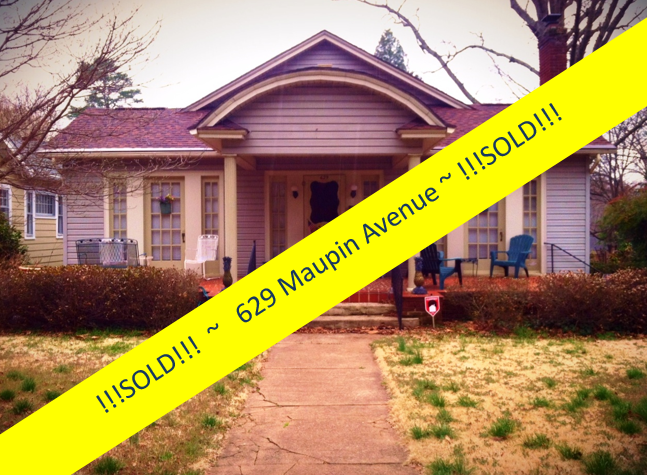 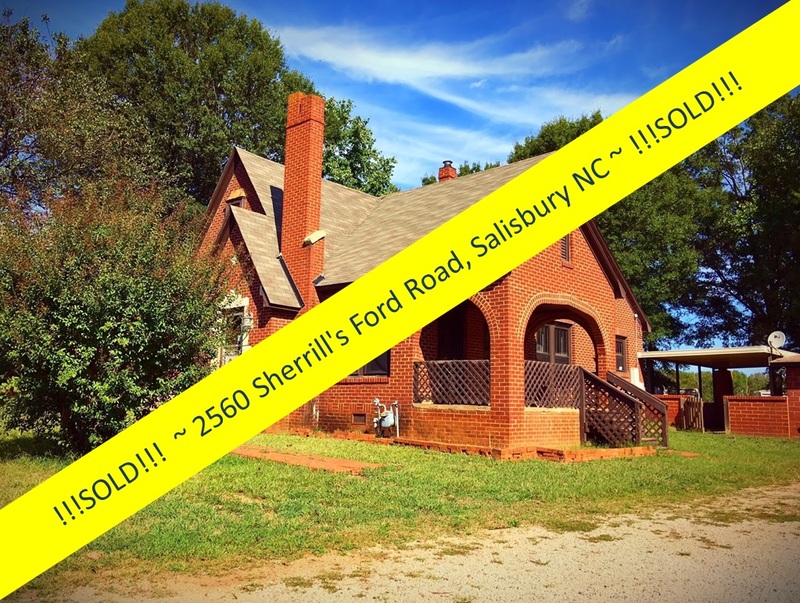 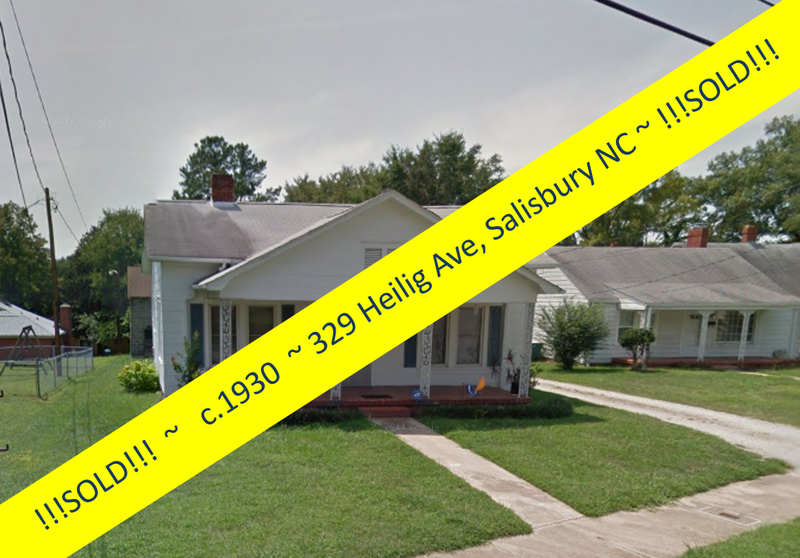 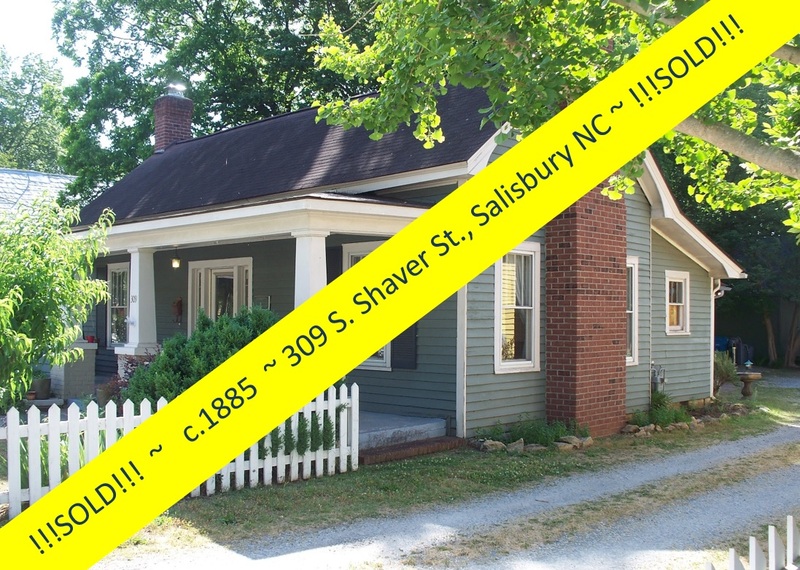 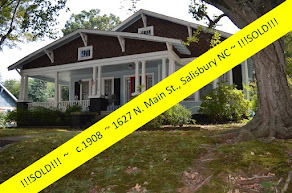 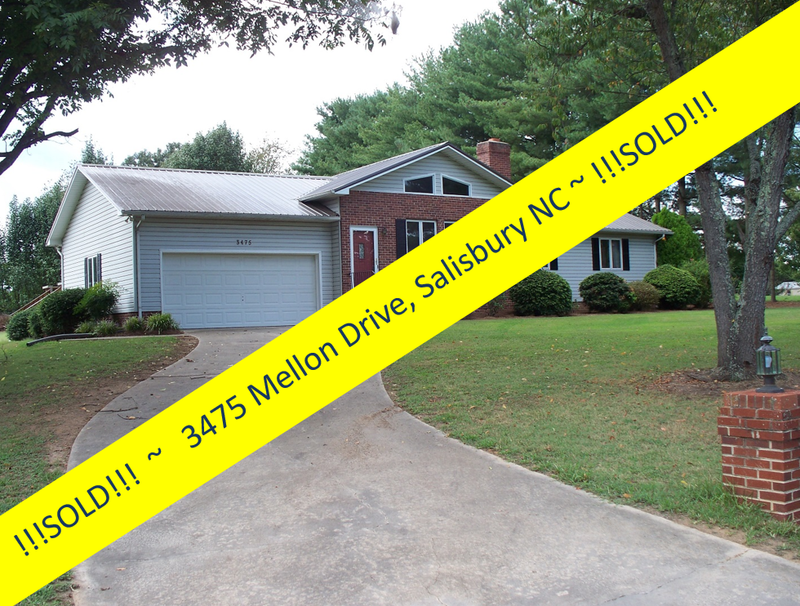 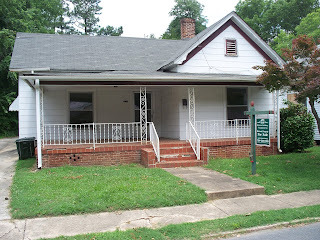 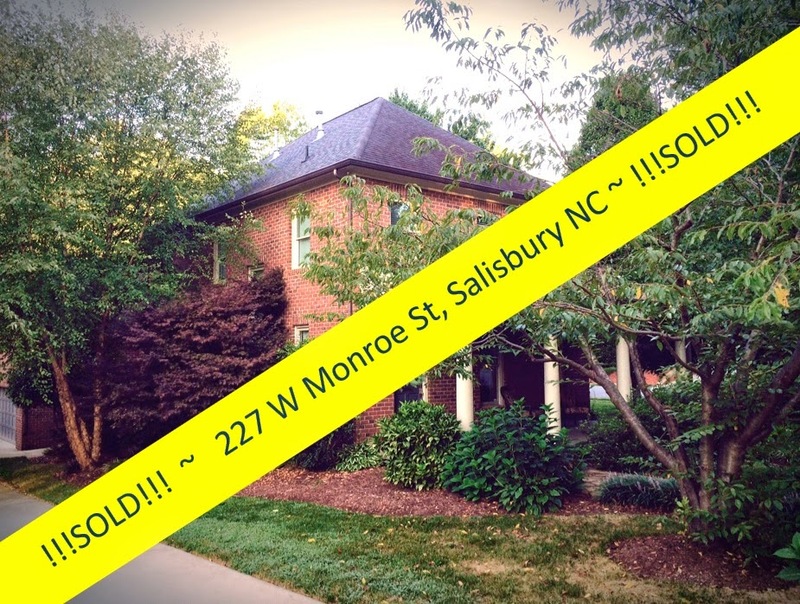 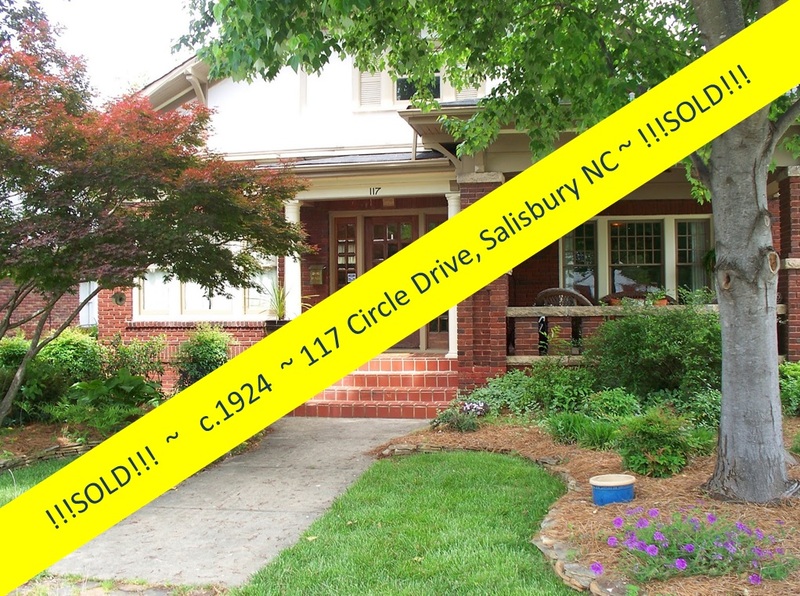 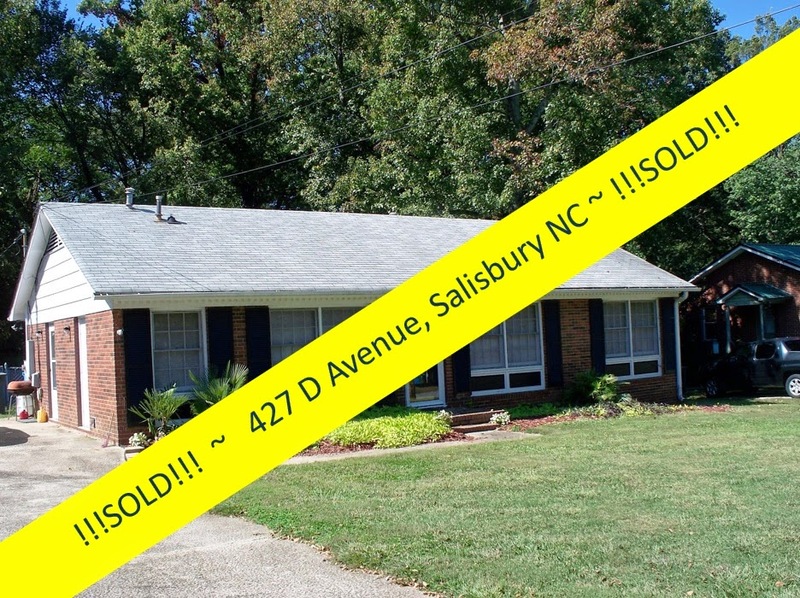 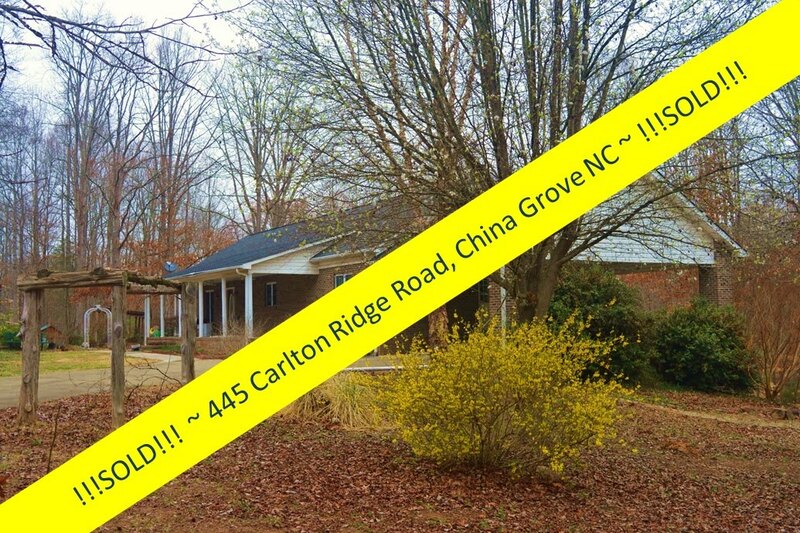 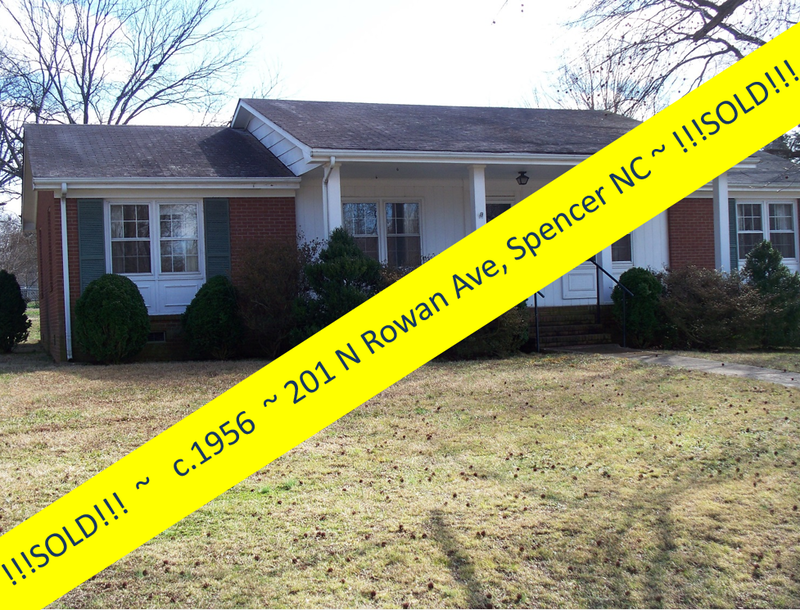 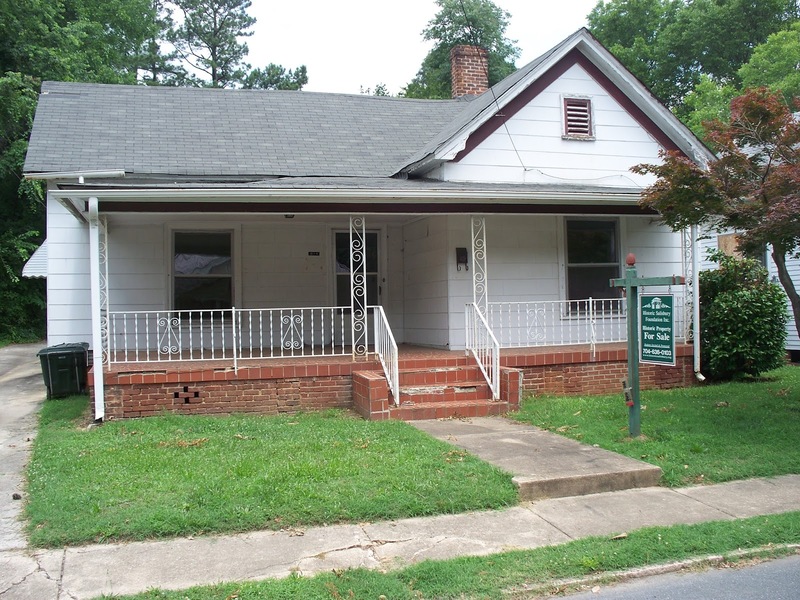 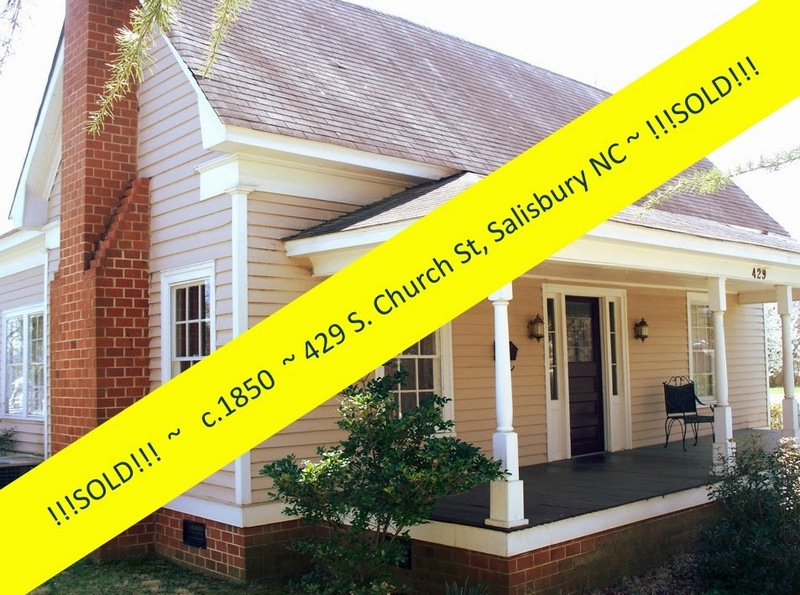 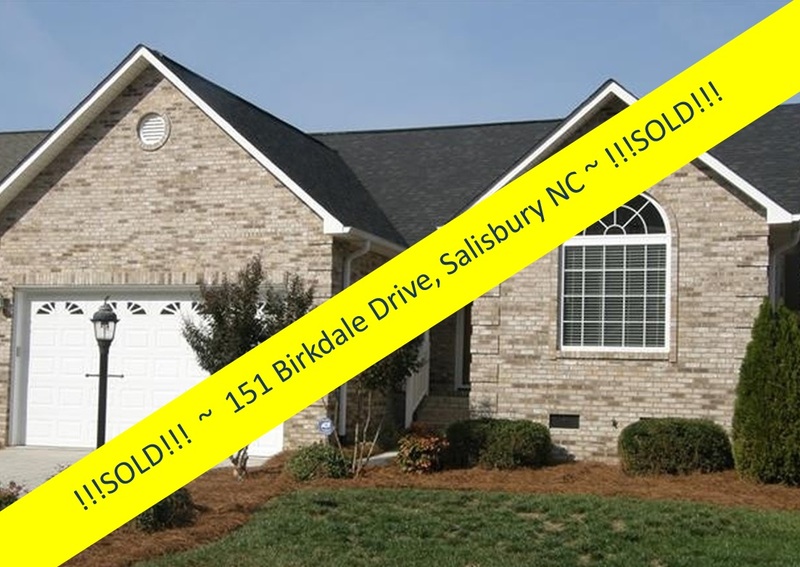 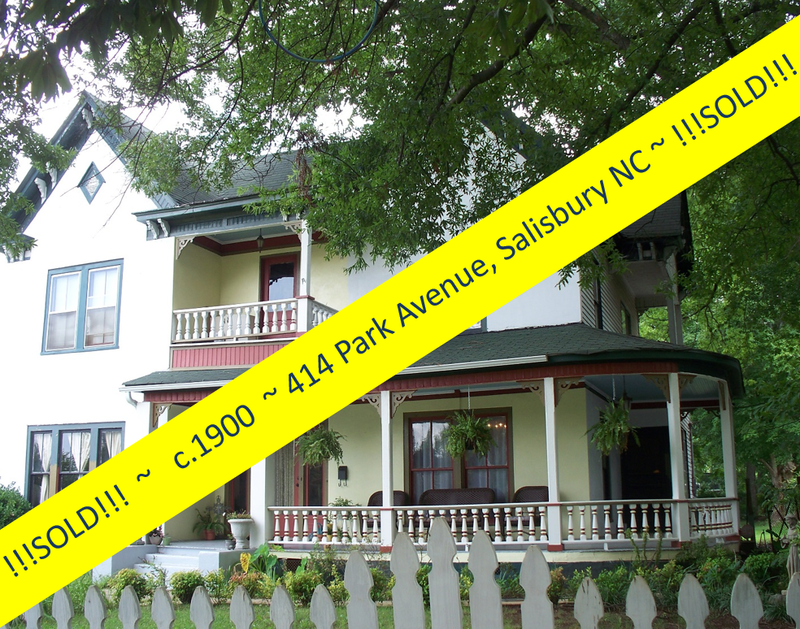 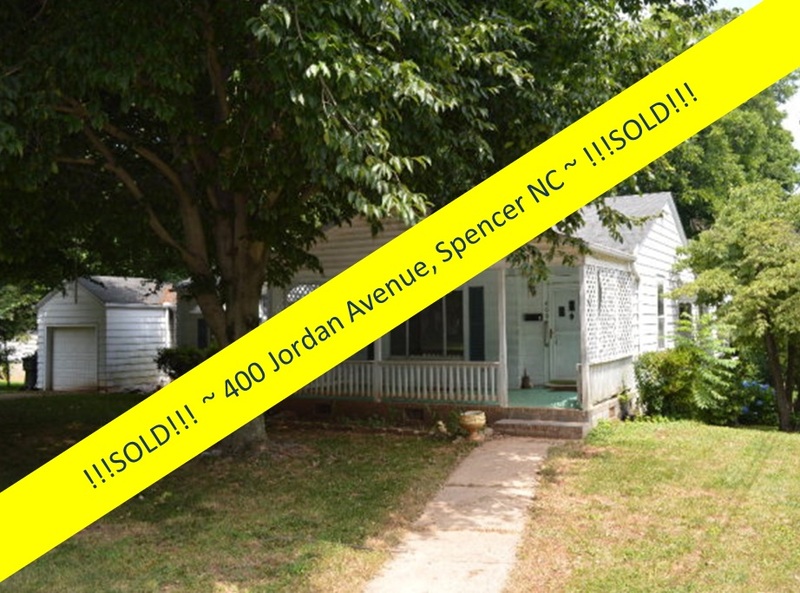 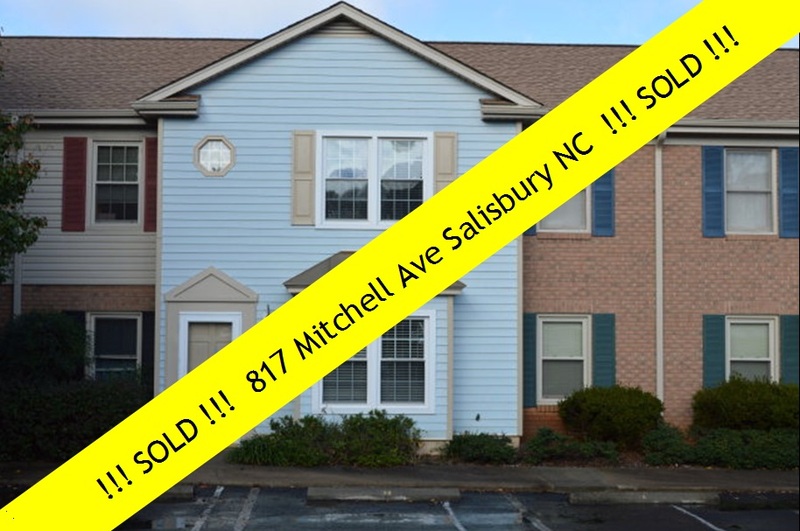 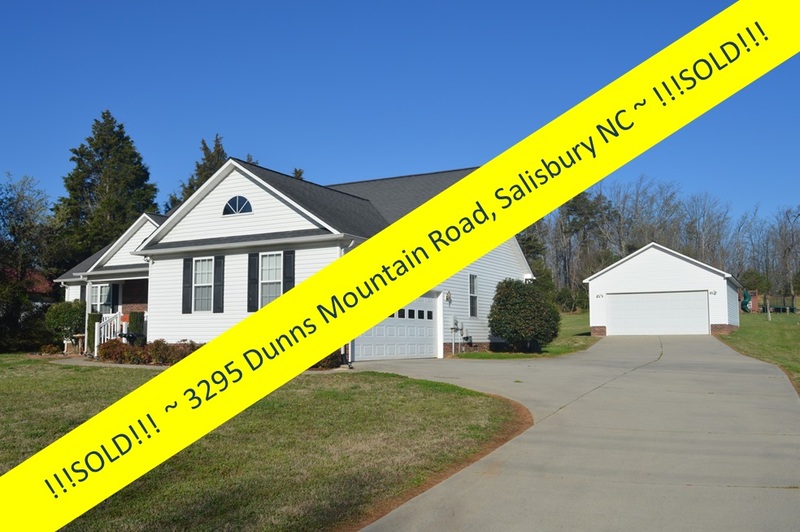 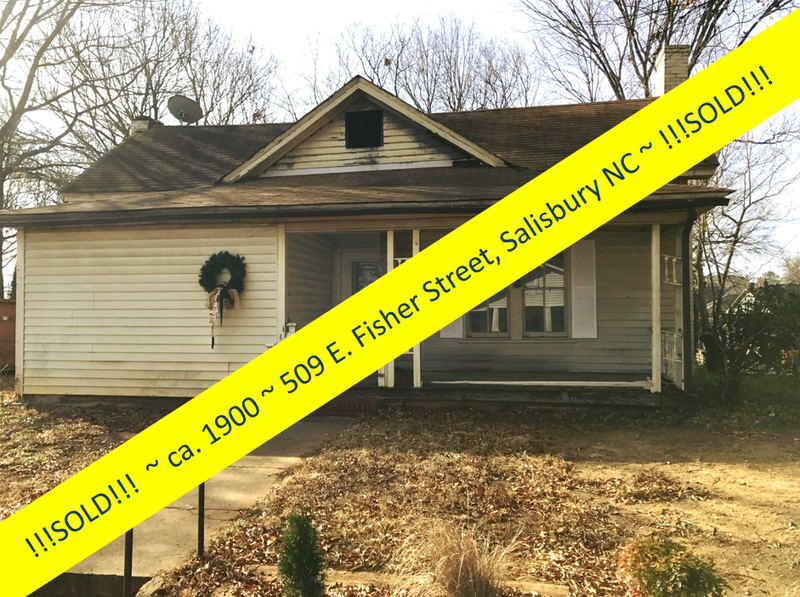 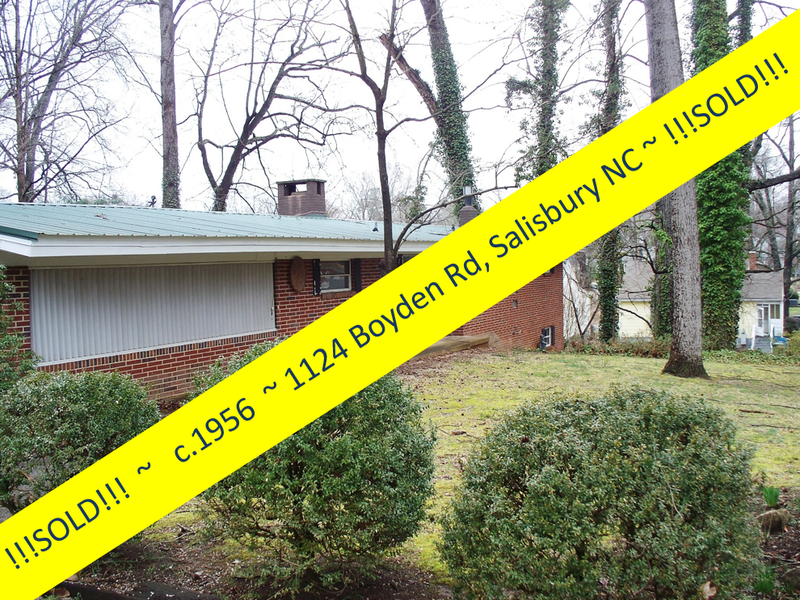 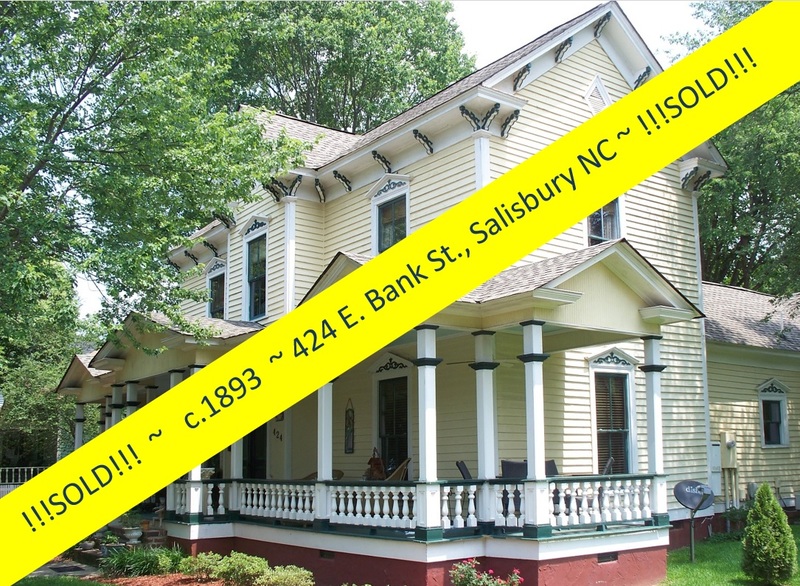 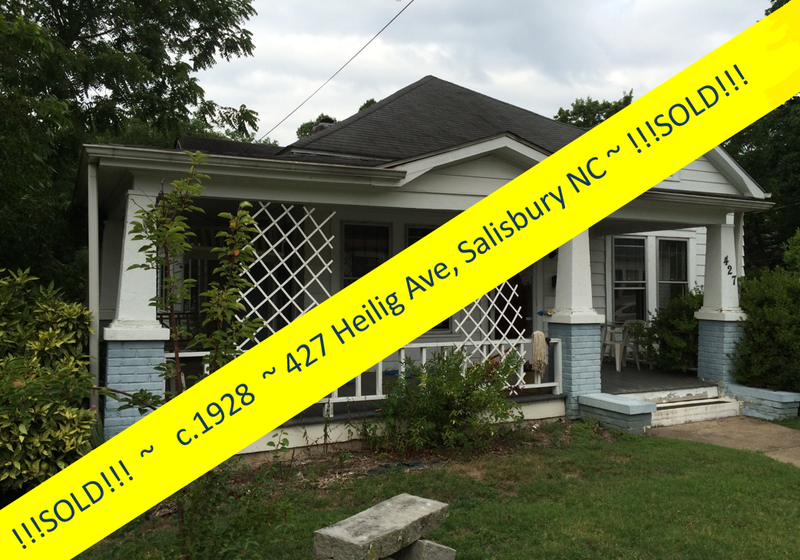 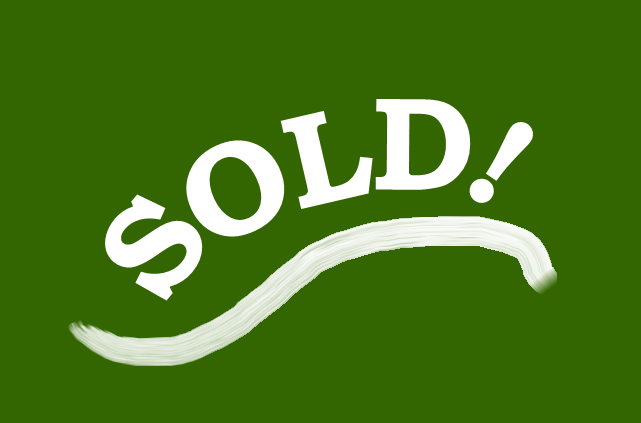 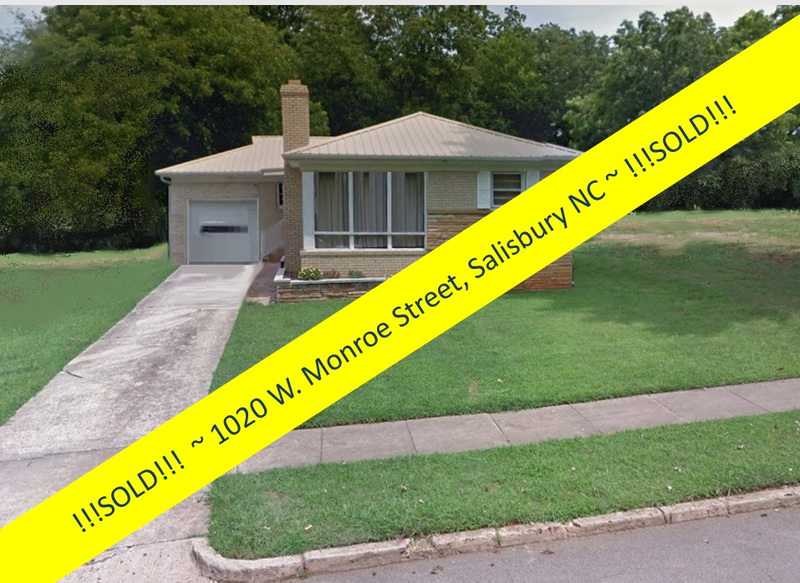 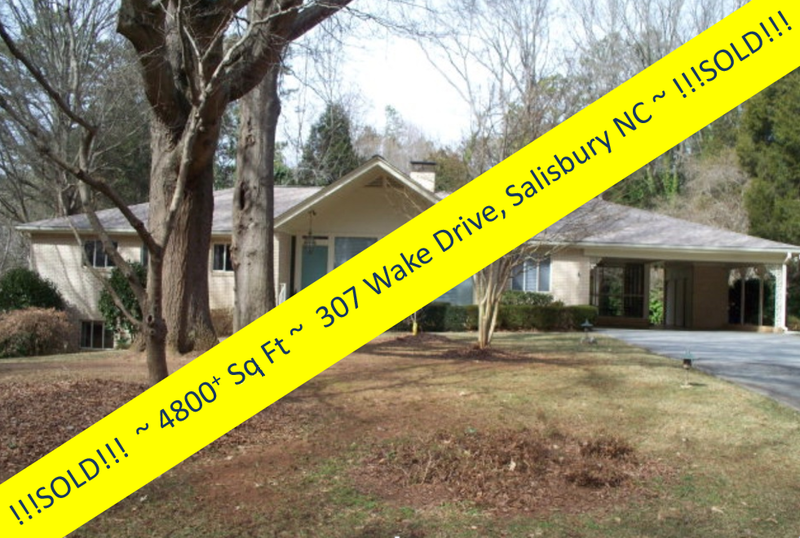 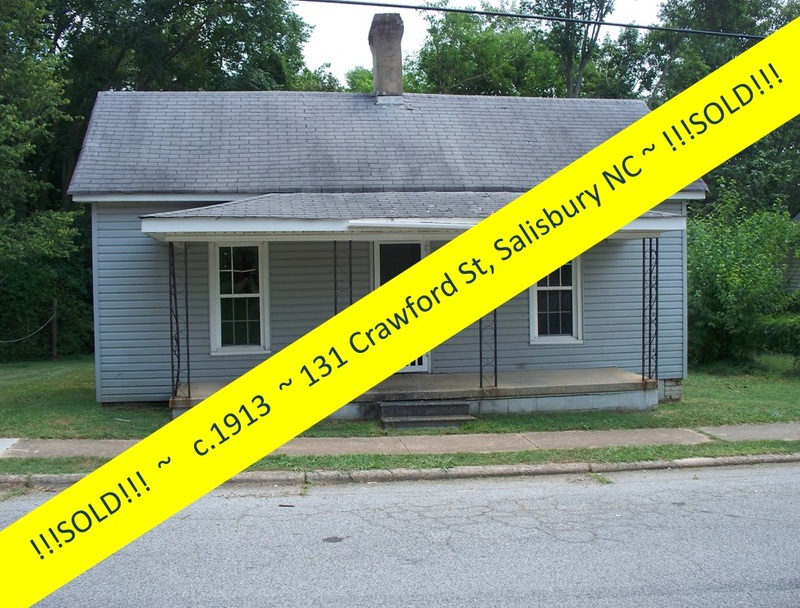 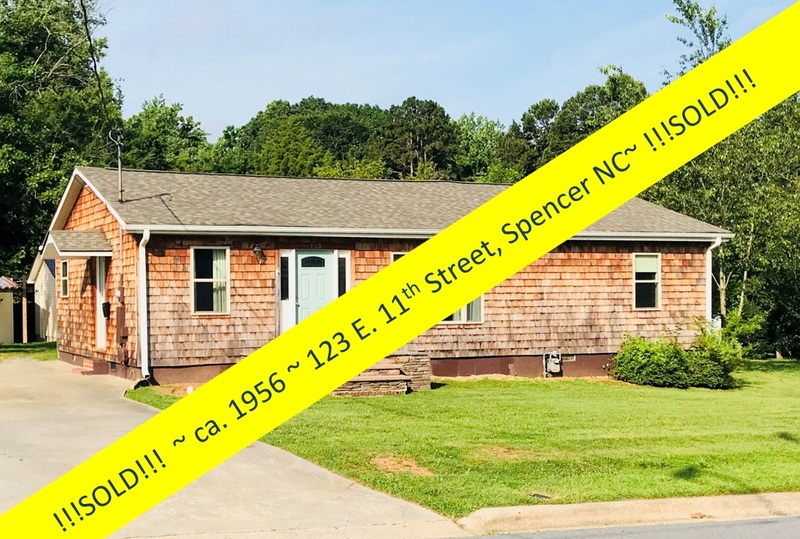 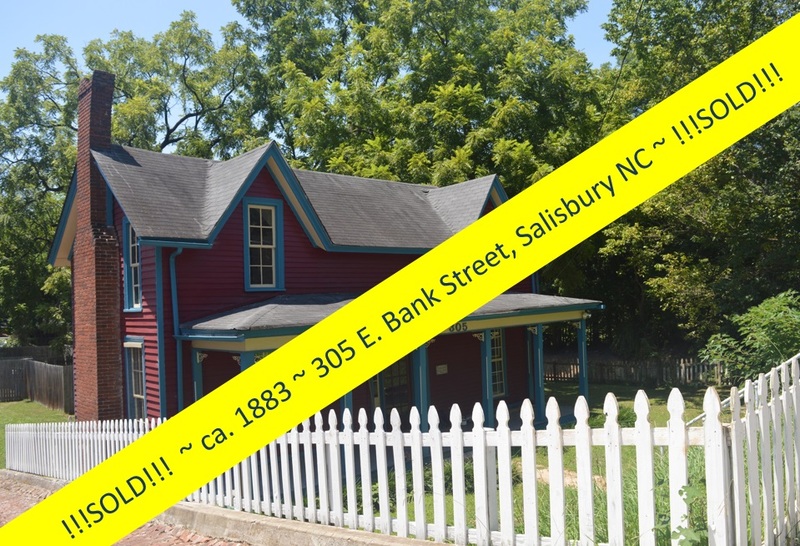 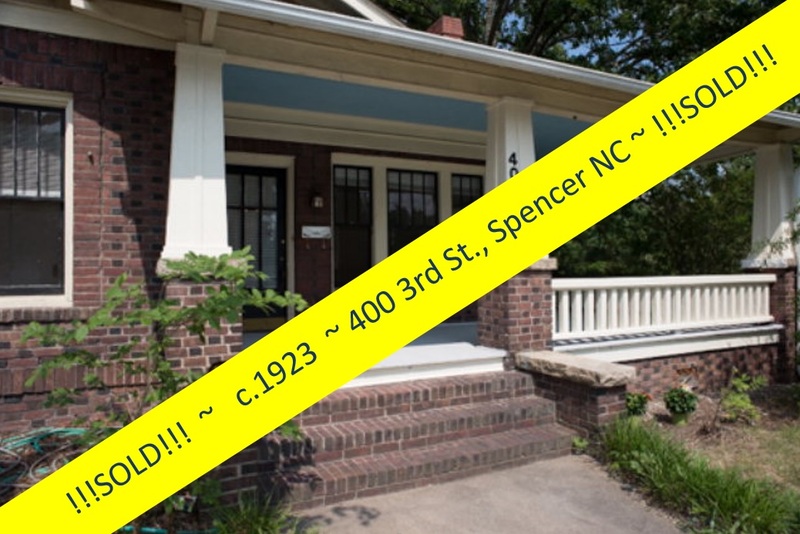 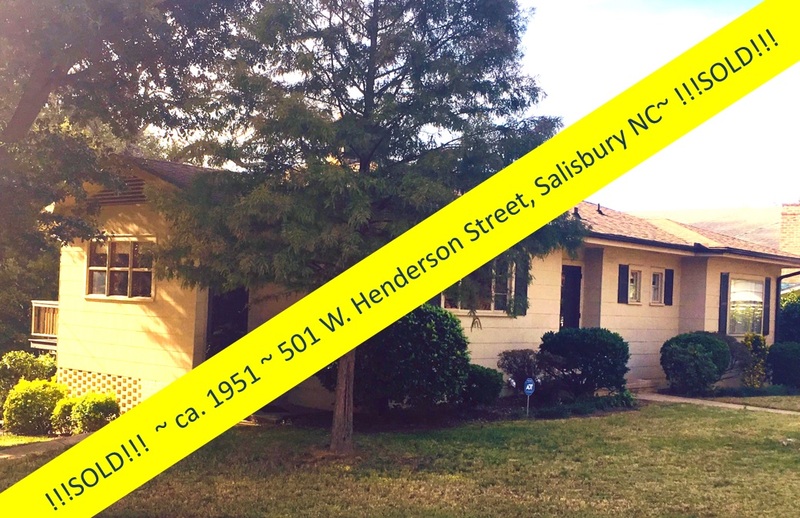 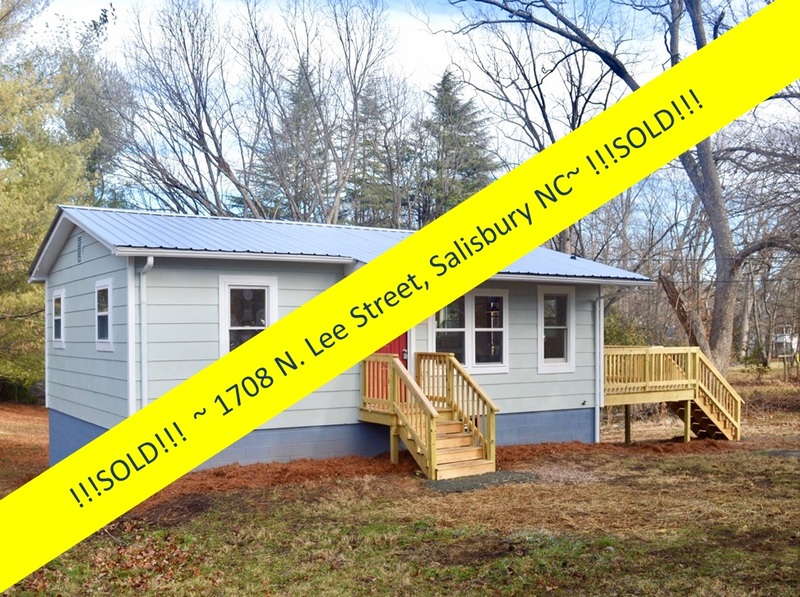 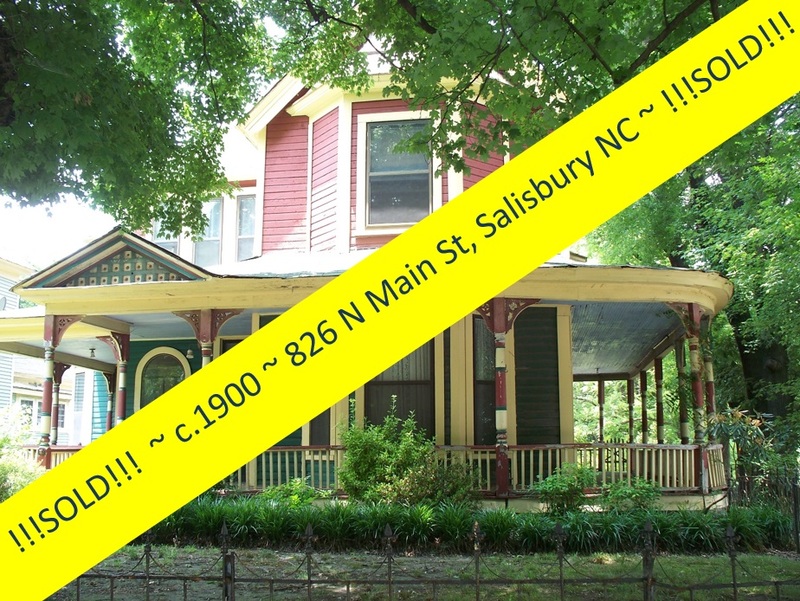 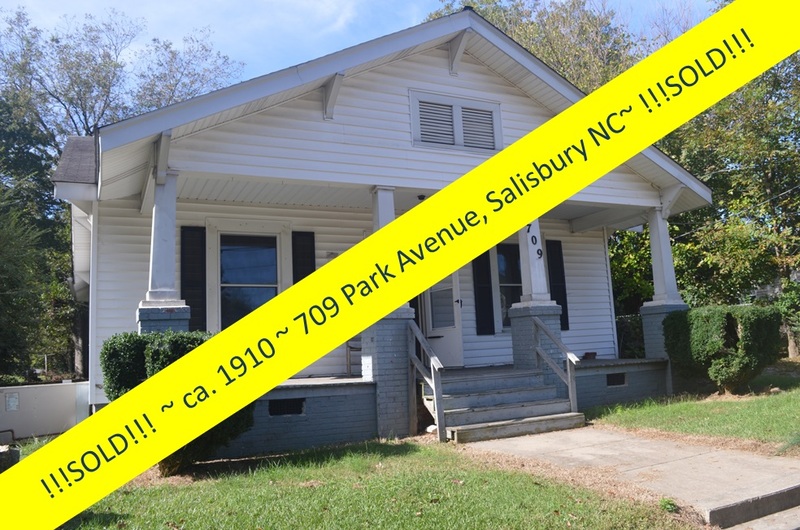 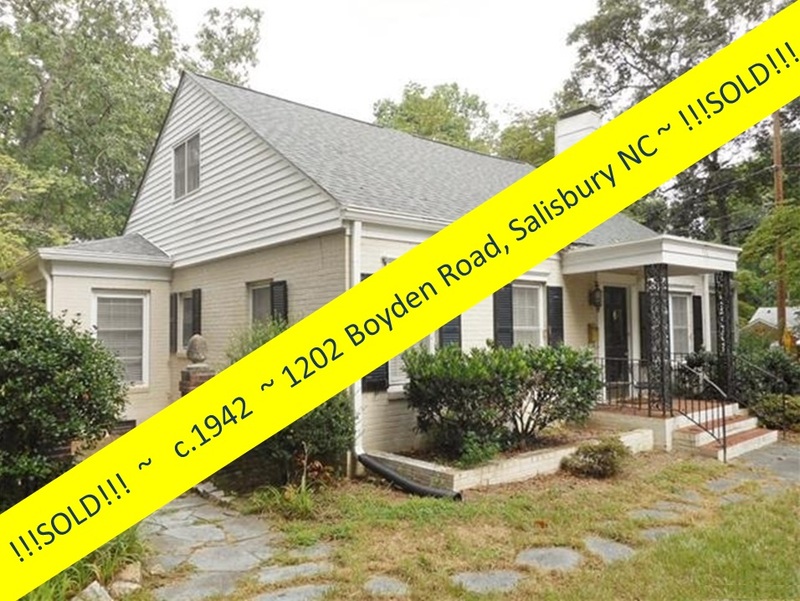 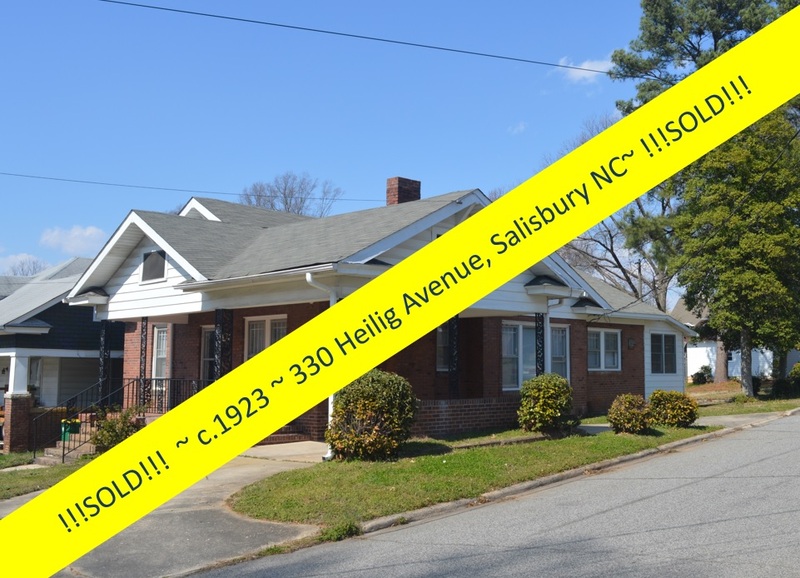 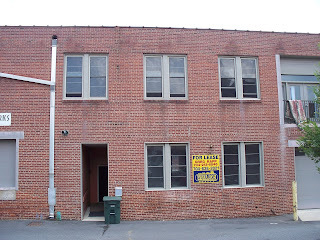 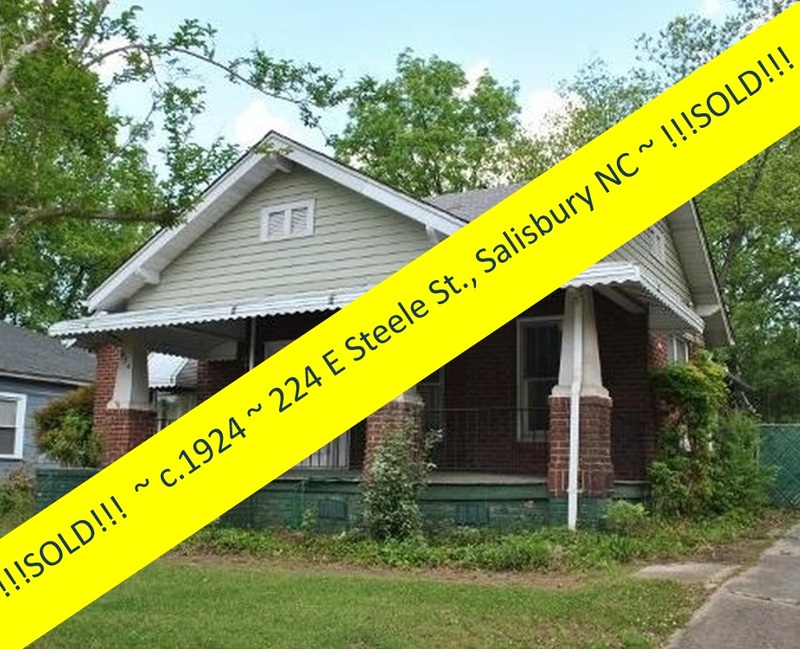 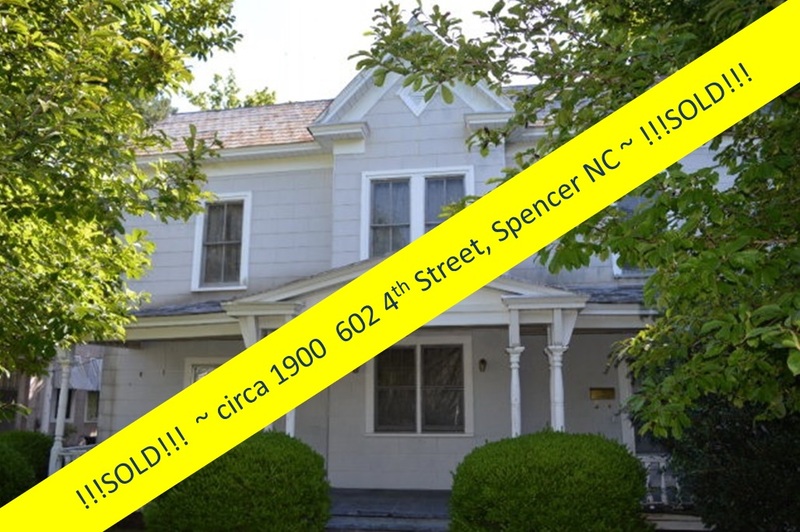 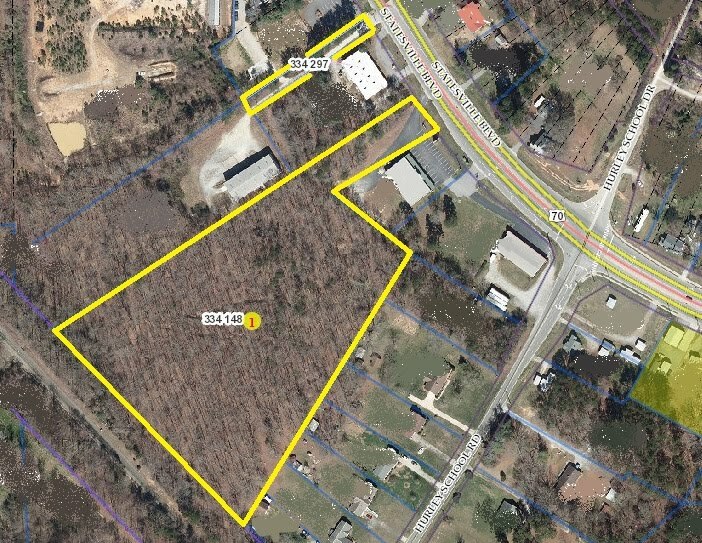 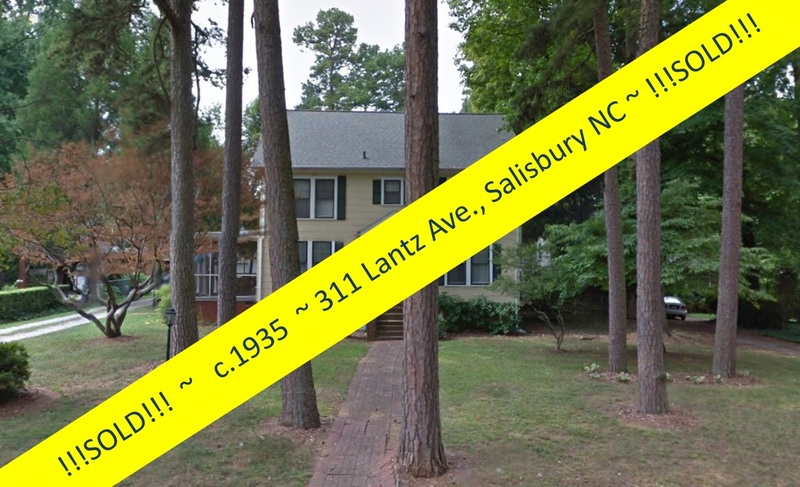 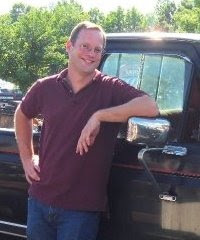 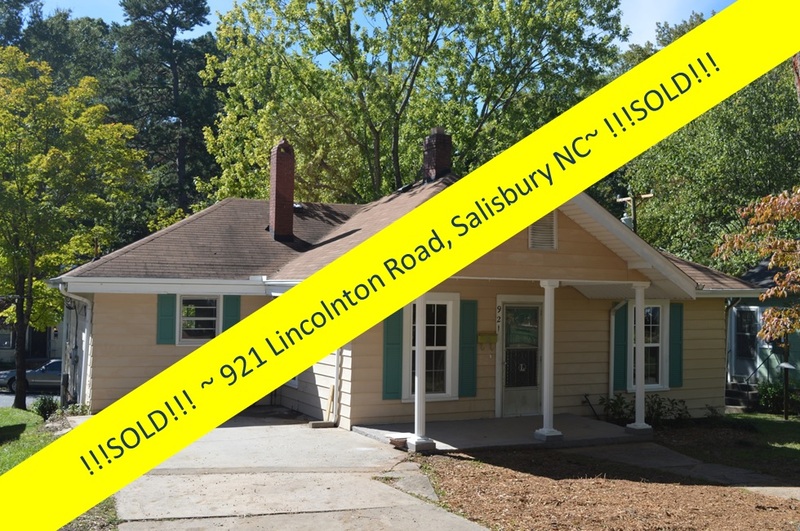 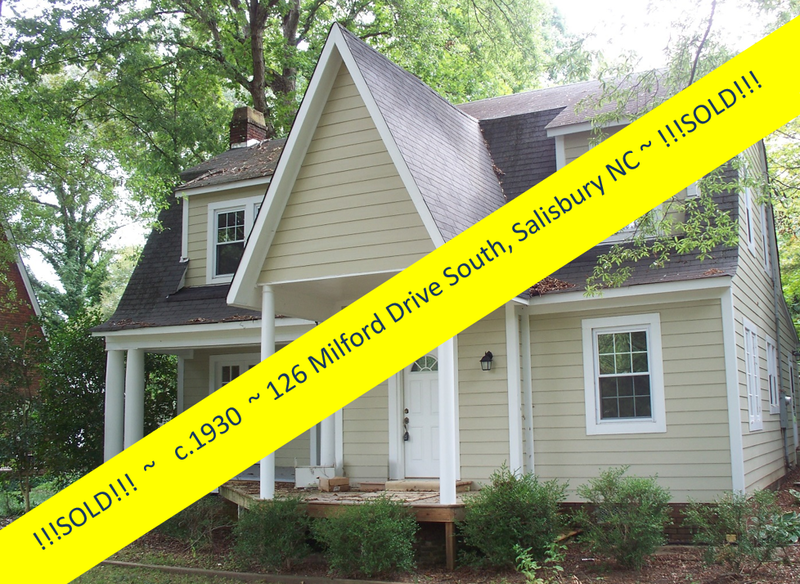 You can reach Greg at 704.213.6846 to see 927 N. Main Street, Salisbury NC today!